Irma finally weakened to just a big storm Monday night, 10 days after it became a hurricane and started on a destructive and powerful path that killed 40 people in the Caribbean and the Southeastern United States. By 6 a.m. ET Tuesday, Irma was about 65 miles southwest of Atlanta. Its top winds were down to 25 mph, and it was charging across the Southeast toward Tennessee and the Ohio Valley as a nasty thunderstorm system. The National Hurricane Center reclassified it as a tropical depression and canceled all tropical storm warnings late Monday. Still, Irma was producing very heavy rain across the Southeast, leading to flash floods and rapid rises in creeks, streams and rivers. The hurricane center said that significant river flooding would persist over the Florida peninsula for several days and that parts of Georgia, South Carolina and north-central Alabama remained vulnerable to flash floods. In Irma’s wake, meanwhile, lay a trail of devastation from the Cape Verde Islands to Georgia. Irma was a full-fledged hurricane in less than 24 hours. It was so strong and so robust that it seemingly set a record for the number of records it set. When Irma reached Category 5 — the strongest there is — it stayed there for more than three days, the longest run since forecasters began using satellites to monitor tropical storms more than a half-century ago. Irma kept blowing 185-mph maximum sustained winds for 37 hours — the longest any cyclone has ever maintained that intensity anywhere on Earth since records started being kept. Irma generated the most accumulated energy by any tropical cyclone in the Atlantic tropics on record. But if there’s one statistic that sums Irma up, it’s this one: It generated enough accumulated cyclone energy — the total wind energy generated over a storm’s lifetime — to meet the National Oceanic and Atmospheric Administration’s definition of an average full Atlantic hurricane season. All by itself, it was more powerful than 18 of the 51 full hurricane seasons since 1966, according to Klotzbach’s calculations (PDF). 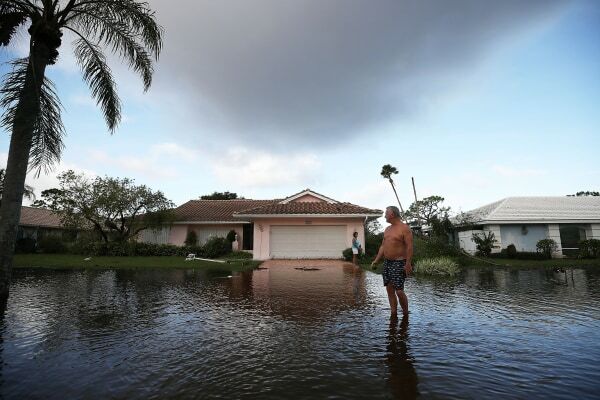 “The next couple of days and couple of weeks — probably months, in a lot of spots — are going to be very busy for a lot of people rebuilding,” Ari Sarsalari, a meteorologist for The Weather Channel, said Monday night. Irma is confirmed to have killed 10 people in the United States so far: four in the U.S. Virgin Islands, three in Puerto Rico, two in Georgia and one in Florida. About 7.5 million customers remained without power in Florida late Monday. Almost 1½ million had no power in Georgia, which experienced the oddity of tropical storm warnings over Atlanta, more than 800 miles from where Irma made its first U.S. landfall. “This will be the largest ever mobilization of [electric] line restoration workers in this country, period, end of story,” Tom Bossert, President Donald Trump’s homeland security adviser, told reporters Monday. Irma killed 10 people in Cuba, 8 people on the French-Dutch island of St. Martin and St. Maarten, 5 people in the French Caribbean territories, 4 people in the British Virgin Islands and 1 person each on Anguilla and Barbuda. Nine out of 10 government and business structures were estimated to have been damaged or destroyed on Anguilla. The French government estimated damage at almost $1.5 billion just on St. Bart’s and French St. Martin. The prime minister of Antigua and Barbuda, Gaston Browne, described his country as “barely habitable,” saying 90 percent of all vehicles and buildings had been damaged. “We have the largest flotilla operation in our nation’s history to help not only the people of Puerto Rico, the people of the U.S. Virgin Islands, but also St. Martin and other non-U.S. islands affected,” he said. Moody’s Analytics, the research arm of the financial services giant Moody’s Corp., estimated Monday that Irma would end up having caused $64 billion to $92 billion of damage in the United States. It stressed that that’s just a preliminary estimate. 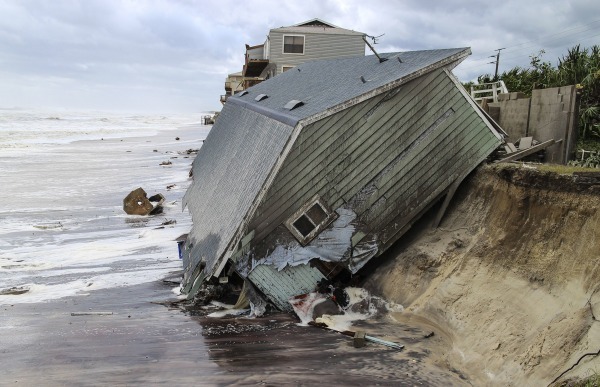 Insurance losses, meanwhile, are projected to reach as high as $40 billion, the risk modeling firm AIR Worldwide said Monday. TAMPA, Fla. — Irma was downgraded to a tropical storm Monday morning after a terrifying weekend where the devastating superstorm battered much of Florida with triple-digit winds and plunged millions of residents into darkness. The extent of the damage after a day of triple-digit winds and raging waters was slow to emerge as morning broke and officials began assessing the damage while first responders began searching for casualties. Florida’s largest utility reported that the storm had knocked out power to nearly three-quarters of its customers. More than 6.2 million residents across the state woke up Monday to no electricity. Tampa appeared to be largely unscathed after Irma passed through. Some trees, power lines and signs were down but there was no widespread damage and no signs of flooding downtown. But storm surge warning remained in effectfor some areas — including Tampa Bay. The center of Irma was expected to cross the eastern Florida Panhandle into southern Georgia on Monday afternoon before later heading into eastern Alabama. Tornadoes were possible in northeast Florida and the southeast portions of Georgia and South Carolina through Monday night. West Palm Beach airport is scheduled to re-open Monday at noon. Miami International Airport scheduled to re-open Tuesday with limited schedules. Ft. Lauderdale and Tampa International airports were to remain closed Monday. Irma hit the lower Florida Keys with winds of up 130 mph just after 7 a.m. ET Sunday. It made landfall on Cudjoe Key around 2 hours later. It weakened to a Category 1 storm early Monday. It passed the Tampa Bay area early Monday on its way to northern Florida. The Florida Keys could get 10 to 20 inches of rain, and the western peninsula could get 10 to 15 inches. Many streets in Miami were submerged, and three construction cranes collapsedin Miami and Fort Lauderdale. By 8 a.m. ET Monday, Irma had sustained winds of 70 mph as it moved further inland, about 105 miles north of Tampa. The storm’s maximum winds decreased to about 70 mph Monday, with higher gusts, but NHC officials predicted “additional slow weakening,” with Irma becoming a tropical depression by Tuesday afternoon. 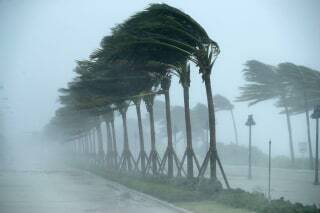 The havoc it wreaked on Florida as a hurricane, however, was serious. Jerry Darnell stands in front of his house that was flooded by Hurricane Irma in Bonita Springs, Florida. 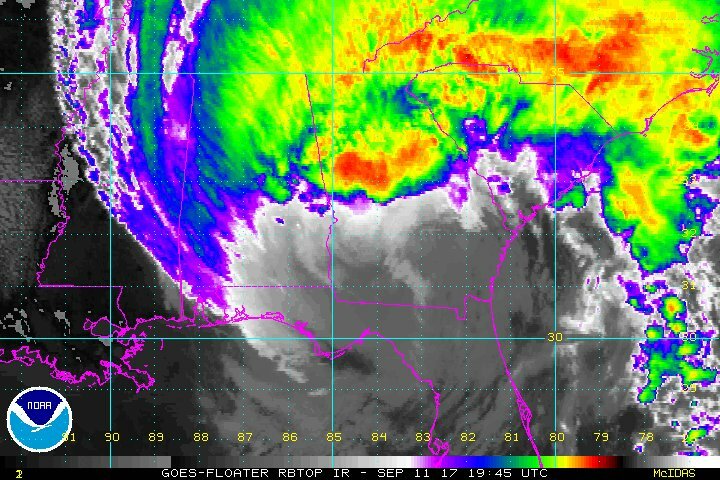 NHC officials said the storm’s center was moving toward Florida’s northwestern coast and could cross the eastern Florida Panhandle into southern Georgia Monday afternoon, moving into southwestern Georgia and eastern Alabama by Monday night and Tuesday morning. Hurricane-force winds were extending outward up to 60 miles from Irma’s center, and tropical-storm-force winds were being felt up to 415 miles away, the National Hurricane Center said early Monday. Forecasters urged Floridians not to let their guard down, warning of as much as 16 inches of rain and tropical storm-force winds well into Monday morning. “In all areas this rainfall may cause life-threatening flash floods,” the National Hurricane Center said at 11 p.m. ET. 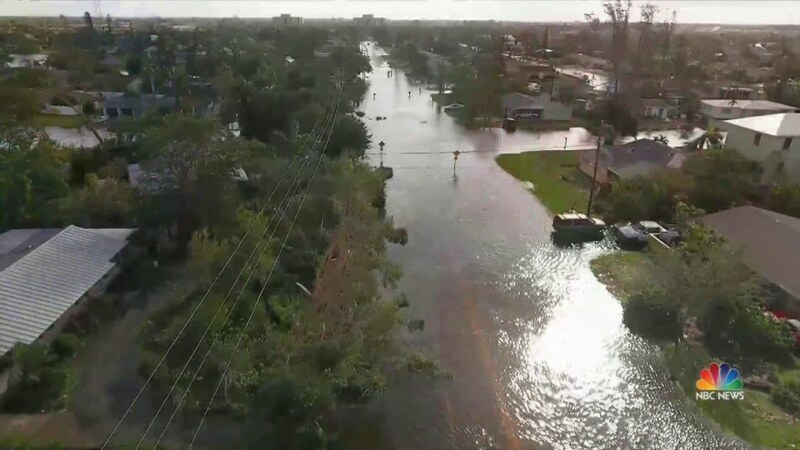 Bill Karins, a NBC News meteorologist, highlighted that Naples reported only around 6 feet of storm surge on Sunday night. The hurricane center had earlier forecast a “catastrophic” storm surge of up to 15 feet in the city. 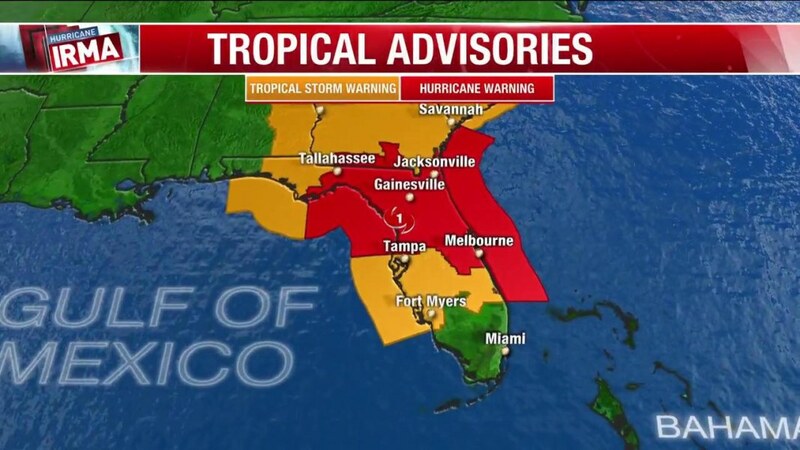 In Tampa and St. Petersburg, which hadn’t been struck by a major hurricane since 1921, 6 p.m. curfews were declared with about 28,000 people in shelters throughout Hillsborough County, NBC affiliate WFLA of Tampa reported. All emergency services were suspended Sunday night in St. Petersburg and Hillsborough County, and some were suspended in many other counties and municipalities, as winds made it too dangerous to be outside. Earlier, the center of Irma’s eye passed over Cudjoe Key at 9:10 a.m. ET Sunday, the National Hurricane Center reported, and around 3:35 p.m. ET it made landfall again on Marco Island, 180 miles south of Tampa. Evacuees fled as far north as Tennessee, where Eric Gerhardt of the Tampa Bay area pulled into a shelter with his family at Mississippi Boulevard Christian Church in Memphis. “We tailgated up to Tallahassee, slept in the car a little bit, and upon getting to Tallahassee, realized it wasn’t safe,” Gerhardt told NBC affiliate WMC on Sunday. Irma slammed into Naples late Sunday afternoon with maximum winds of 110 mph and a top wind gust of 142 mph. “I thought Wilma was bad … this one really, really made Wilma look kind of tame. I’ve never seen anything like this,” Barnett said on TODAY. Barnett said city officials would be conducting extensive damage assessment Monday, with crews having gone out at sunrise. “We are going to have a lot of work to do. This was a bad one,” he said. 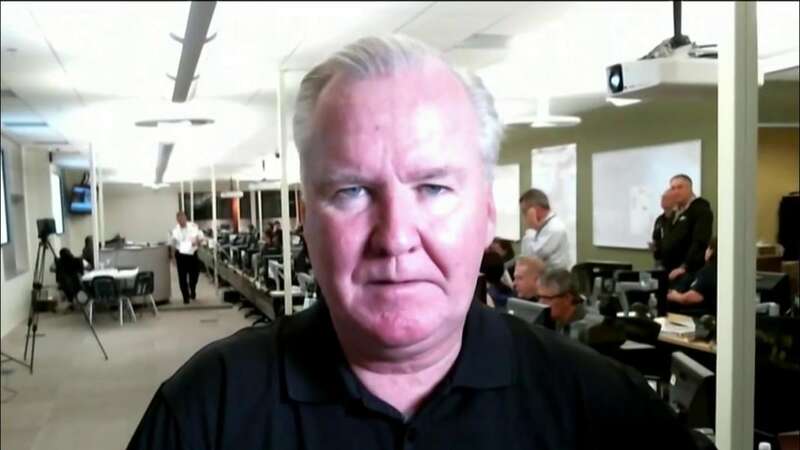 Tampa Mayor Bob Buckhorn, for his part, expressed gratitude that the storm was “not a knock-out” for his city. “I think when dawn comes and the lights come on we will find we were very, very lucky last night,” he added. Miami International Airport, meanwhile, sustained significant water damage and will remain closed Monday, said Emilio Gonzalez, the airport’s chief executive and director of aviation. Looting was also a problem. Miami-Dade County police said early Monday that they they’d made 28 looting-related arrests, while 19 people were arrested by Ft. Lauderdale police for burglarizing homes and businesses — and Broward County Sheriff Scott Israel gave them a tongue-lashing in a message posted on Facebook. 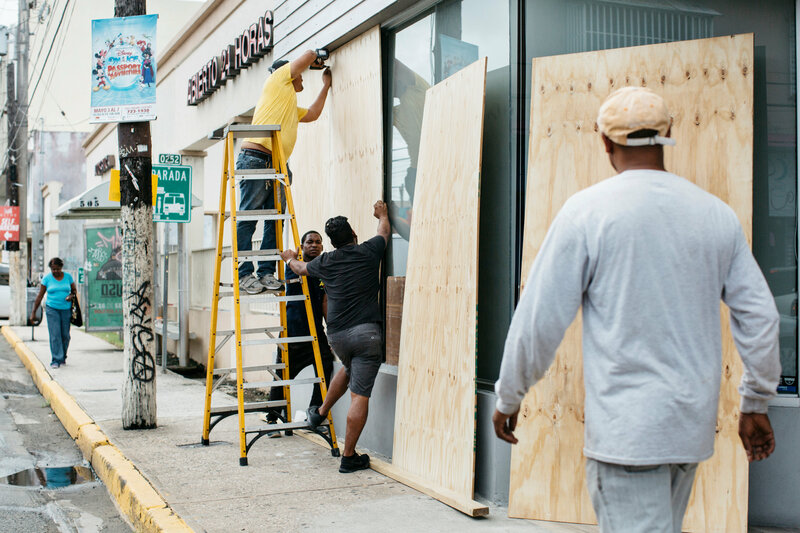 “Looters: your behavior is illegal, it’s felonious and it won’t be tolerated,” he said, adding that he’d make sure his deputies examined every possible camera that could have captured the thieves. “It’s unscrupulous and deplorable to loot at a time when we’re battling one of the major storms of the century,” he said. Georgia authorities told 540,000 residents to leave the coast and South Carolina ordered nearly 45,000 people to evacuate as Irma was expected to arrive Monday. Georgia Gov. Nathan Deal expanded the state’s emergency declaration to cover all 159 counties on Sunday and closed the state government at least through Tuesday. All of Monday’s flights at Southwest Georgia Regional Airport in Albany were canceled. In Macon, a fifth shelter was opened Sunday after evacuees filled four to capacity, NBC affiliate WMGT reported. Shortages of gasoline and bottled water were reported Sunday night throughout metro Atlanta, where Irma’s impact could be felt for months. “Let’s say there’s a portion of Georgia or Florida that becomes uninhabitable for a long period of time. Those evacuees might decide to remain here, so we could have a significant bump in our population because those people don’t have anywhere else to go,” said Thomas Smith of the Goizueta Business School at Emory University in Atlanta. That would add pressure to resources going into and out of the state, and it “could even affect housing and wages,” Smith told NBC affiliate WXIA. In South Carolina, Gov. Henry McMaster visited the state Emergency Operations Center in Columbia and warned residents that when Irma arrives, it could be “as damaging as Hurricane Matthew” — which killed 30 people and did about $1.8 billion of damage in North and South Carolina in October 2016. Alabama Gov. Kay Ivey said all state offices and buildings would be closed Monday in 24 counties under tropical storm warnings. Meanwhile, a total of 24 people died due to Irma in the Caribbean after it clobbered several islands, including Barbuda, St. Martin, the U.S. Virgin Islands and Puerto Rico, where 1 million people were left without electricity. The most powerful earthquake to hit Mexico in a century struck off the country’s southern coast early Friday, killing at least 26 people and prompting warnings it could trigger tsunami waves up to 10 feet high. The quake just before 1 a.m. ET was stronger than the 1985 tremor that killed more than 5,000 people in Mexico City, according to Mexican President Enrique Peña Nieto. However, with an epicenter 40 miles off the coast and some 460 miles from the capital itself, early indications suggested the damage was far more limited. At least 20 people were killed in the southern state of Oaxaca, its governor, Alejandro Murat, said according to Reuters. Six others died in Chiapas and Tabasco states, including three children, according to officials. The president said there had been at least 62 aftershocks and warned one as strong as 7.2 could hit in the next 24 hours. Some 1 million homes and businesses initially had been without power, according to Peña Nieto, but he added electricity had been restored to 800,000 of them. In Chiapas, the state closest to the offshore epicenter, there were reports some buildings had been badly damaged. Its governor, Manuel Velasco Coello, said on Facebook that around 1,000 army troops were helping with the rescue and recovery effort. 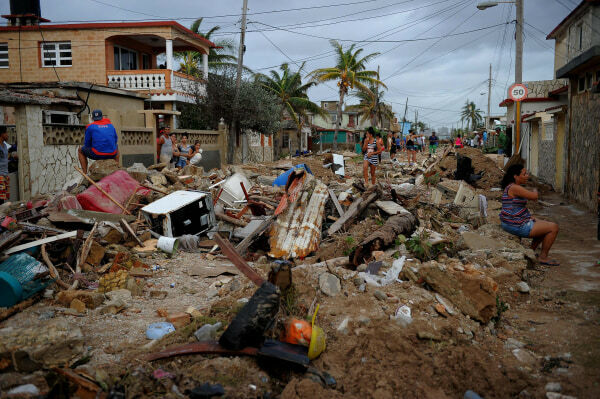 Four people were killed there including one child, and Coello urged several towns to evacuate their homes due to the threat from possible tsunami waves. Two children also died in neighboring Tabasco state, one after a wall collapsed and the other, a baby, who died after a hospital lost electricity, the state’s Gov. Arturo Nunez said. 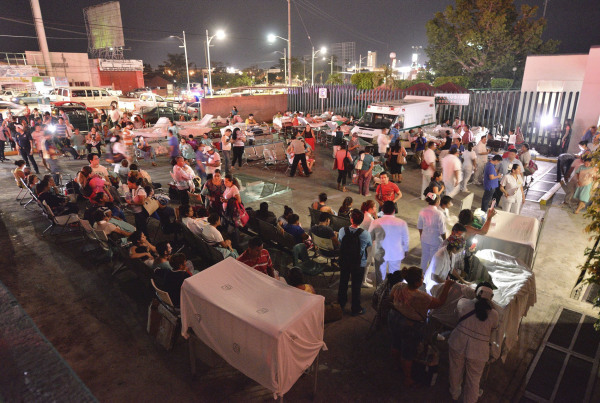 In Mexico City, buildings wobbled and sent residents fleeing into the streets in their pajamas. Classes were canceled in Mexico City and several other states so that officials could check that buildings were structurally sound, the president said on Twitter. Small tsunami waves of 3.3 feet washed ashore the city of Salina Cruz and others of 2.3 feet were measured at the resort town of Huatulco, according to the Pacific Tsunami Warning Center. The government agency warned that waves of up to 10 feet could hit other parts of the country. “We are waiting for a while to see if this is going to happen or not,” Interior Secretary Miguel Ángel Osorio Chong told Mexican broadcaster Televisa. Small waves could also hit neighboring Central American countries but no tsunami was expected in California, Oregon, Washington, Hawaii, British Columbia or Alaska, according to the Tsunami Warning Center. 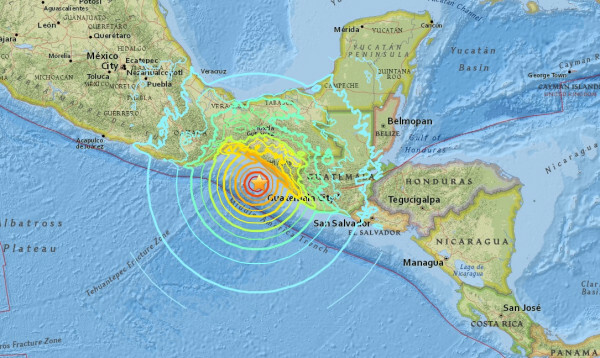 The U.S. Geological Survey initially estimated the magnitude at 8.0 before revising it to 8.1 The Mexican Seismological Agency rated it at magnitude 8.4. In neighboring Guatemala, President Jimmy Morales said there had been some damage an unconfirmed reports that one person had died, according to the AP. Meanwhile, Mexico was bracing for another natural emergency on the other side of the country. The U.S. National Hurricane Center said Hurricane Katia was likely to strike the Gulf coast in the state of Veracruz early Saturday as a Category 2 storm that could bring life-threatening floods. One of the strongest Atlantic storms ever recorded has already caused damage on several islands. • Hurricane Irma, one of the strongest storms ever recorded in the Atlantic, hit the eastern Caribbean on Wednesday with winds of up to 185 miles an hour, but had slowed to 180 m.p.h. by Thursday morning. • The Category 5 storm leveled Barbuda, damaging 95 percent of its buildings and leaving the island “barely habitable.” It has since begun lashing Puerto Rico and is also threatening havoc and destruction in the Virgin Islands, the Dominican Republic, Haiti and Cuba. The Bahamas and the Turks and Caicos Islands will also be at risk on Thursday. • The French interior minister, Gerard Collomb, said at least eight people had been killed in French Caribbean territory, and at least three deaths were reported elsewhere. The authorities warned that the toll would rise as communications improved. • President Trump declared a state of emergency in Florida, Puerto Rico and the United States Virgin Islands. The storm is expected to reach Florida early on Saturday, potentially causing catastrophic flooding. • Sign up for the Morning Briefing for hurricane news and a daily look at what you need to know to begin your day. ‘Barbuda is literally rubble,’ but Antigua is spared. This turned out to be stunningly inaccurate: While the damage in Antigua was not as severe as expected, Mr. Browne announced in the afternoon that 95 percent of all structures on its sister island, Barbuda, had been damaged or destroyed, rendering the island “barely habitable.” A telecommunications tower was broken in two. At least one person, an infant, was killed. 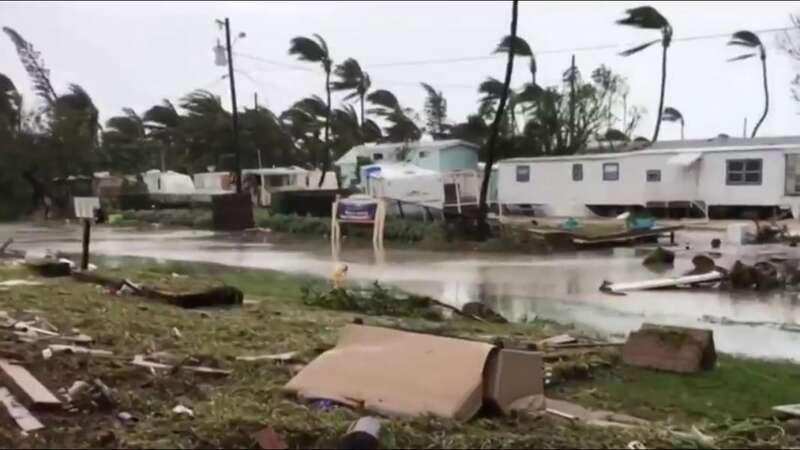 Barbuda, home to about 1,600 people (3 percent of the country’s population), “is literally rubble,” the prime minister told ABS TV/Radio Antigua. The prime minister of Antigua and Barbuda, Gaston Browne, described how the island of Barbuda was nearly leveled by Hurricane Irma. In his initial statement Wednesday morning, Mr. Browne suggested he had been receiving reports from Barbuda. But he later clarified that, in fact, the storm had knocked out all official communication systems on the island, rendering officials there unreachable after the storm. As a result, it was not until the afternoon, when the prime minister surveyed Barbuda from the air, that the extent of the devastation became clear. “What I saw was heart-wrenching — I mean, absolutely devastating,” Mr. Browne told ABS TV afterward, estimating that it would take at least $150 million to return the island to some semblance of normalcy. Mr. Browne said he had been caught off guard by the utter destruction in Barbuda because it is so close to the comparatively unscathed Antigua. The islands are less than 40 miles apart. ‘Considerable’ damage in the French Caribbean. “We will have victims to lament, and the material damage on the two islands is considerable,” he said after a crisis meeting in Paris, adding that the “entire nation” stood beside the inhabitants of the islands. Mr. Macron said that emergency services were focusing on re-establishing contact with the affected areas and that rescue operations would be coordinated from the French Caribbean island of Guadeloupe, where the French minister for overseas territories, Annick Girardin, was headed on Wednesday evening. Javorn Micheal Fahie, a taxi driver in Tortola, in the British Virgin Islands, said most of the galvanized steel roofs in his neighborhood had blown off. He saw two of them, from houses facing his, flying away in the wind. Late on Wednesday, the Federal Emergency Management Agency tweeted a photo from a resident of St. Thomas, in the United States Virgin Islands. Earlier in the day, Kelsey Nowakowski, who lives in St. Thomas, described how she and four friends had hunkered down and waited for the storm to pass. 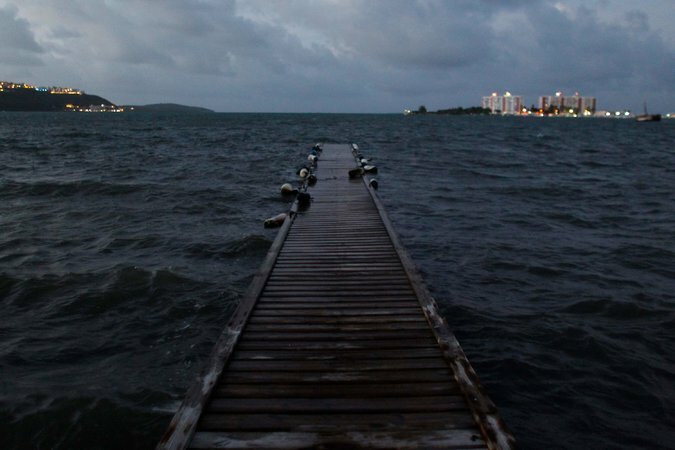 In Puerto Rico, fears of rising waters. Gov. 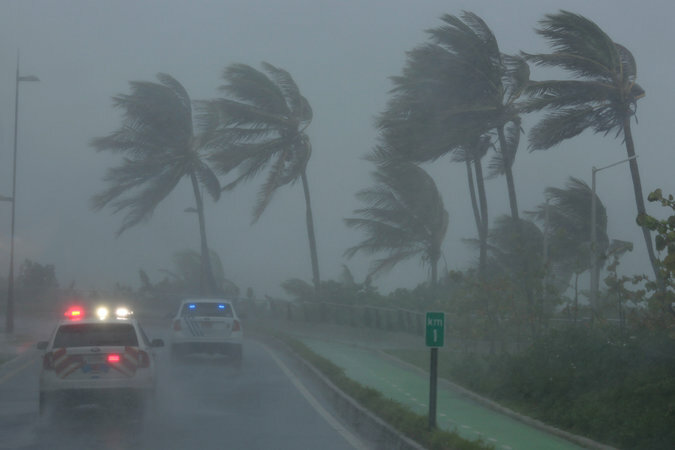 Ricardo A. Rosselló said at a televised briefing on Wednesday that six to eight inches of rain were expected in Puerto Rico, with some areas receiving up to 12 inches. 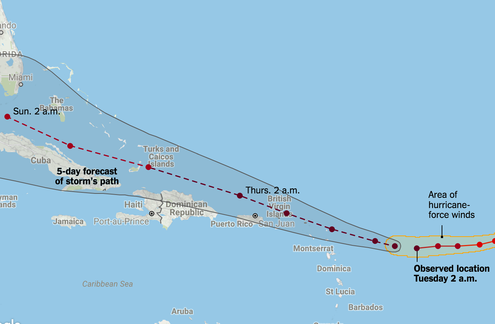 With the storm expected to pass just north of San Juan between 6 p.m. and 8 p.m., the governor had cautioned people to take shelter by noon in homes or in one of 156 government-run facilities. He warned that the authorities would suspend rescues once winds reached 50 m.p.h. Carmen Caballero, 69, hastily packed supplies and rushed to the nearest government shelter in San Juan around 3 p.m., after the power went out in her home and branches began to fall. As a retired doctor, she said she had offered her services to other evacuees, including two people with Alzheimer’s and some children with autism. Nearly 30 years ago, Puerto Rico was hit hard by Hurricane Hugo, which left more than 28,000 residents homeless. But Abigail Acevedo, 60, who survived Hugo, said Irma was worse. Officials warned that the island’s fragile electrical grid could be shut down for months in some areas. The Puerto Rico electric company said nearly 300,000 people had lost power by early Wednesday afternoon. More than 4,000 had lost water service, mostly because of power failures. The governor has asked the Defense Department to activate the Army National Guard for recovery efforts once the storm passes. The hurricane could hardly have come at a worse time for the territory, which is in the throes of an economic crisis and does not have money for rebuilding. St. Martin’s ‘most durable’ buildings are destroyed. The French interior minister, Gérard Collomb, said the four “most durable” buildings on St. Martin had been destroyed. President Trump owns a property there, Le Château des Palmiers, a walled waterfront estate that is currently up for sale. It is unclear whether that property was damaged. 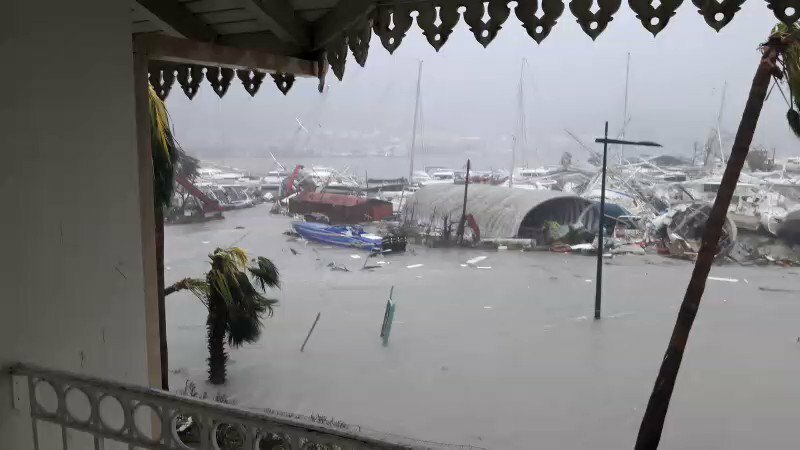 Power was out on St. Barthélemy, and many roofs had been blown off, according to a statement from the prefecture on the French island of Guadeloupe. The situation on St. Martin was similar: There was no power, the fire station was flooded, and the police station no longer had a roof. The island’s administrative offices were also “partially destroyed,” the statement from Guadeloupe said, adding that the staff had taken shelter in a concrete room. By midmorning on Wednesday, the hurricane was “pounding” the island nation of Anguilla, according to the National Hurricane Center. An officer who answered the phone at the Royal Anguilla Police Force headquarters said that one person had died in the territory. Satellite imagery and maps of the course of the Category 5 storm, which made landfall in the Caribbean on Wednesday. 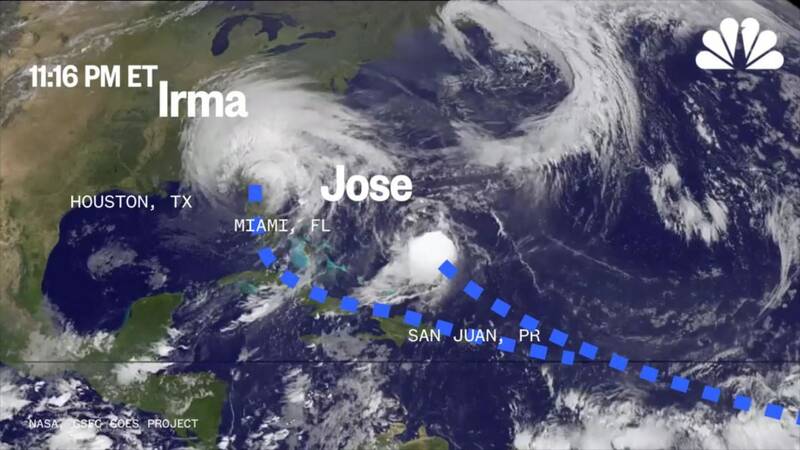 Included are representations of the various paths the hurricane could take. Alex Woolfall, a British public relations consultant, was staying at The Westin St. Maarten resort in St. Martin when the storm made landfall early Wednesday. Mr. Woolfall tweeted updates during the storm before the power eventually went out. Read more about the storm here. • Hurricane Irma, packing winds of 185 m.p.h., made landfall in Barbuda, an island of about 2,000 people, around 2 a.m. Eastern on Wednesday, the National Hurricane Center said. By 8 a.m., the eye had moved away from Barbuda and was passing over St. Martin. • By 9 a.m., there were reports from officials and on social media of major damage to buildings on several islands, including St. Barthélemy and St. Martin, and phone lines were down in Barbuda. • The Category 5 storm was churning toward Puerto Rico and threatening havoc and widespread destruction on several nearby islands, including St. Kitts and Nevis; the Virgin Islands; and Hispaniola, shared by the Dominican Republic and Haiti. Cuba is also threatened by the hurricane. • President Trump declared a state of emergency in Florida, Puerto Rico and the United States Virgin Islands. Storm damage is reported in Barbuda. Irma tore the roof off a police station on Barbuda, forcing officers to take shelter in a nearby fire station, The Associated Press reported. Midcie Francis of the National Office of Disaster Services said that there had been damage to several homes but that the authorities had not yet assessed the extent of the destruction. Residents and officials were particularly worried about the storm surge. Barbuda is flat, with a maximum elevation of no more than 150 feet, though most of its small population lives in and around the town of Codrington, which is at or close to sea level. “Unfortunately, in Barbuda there are few buffers if a significant storm surge is experienced,” The Daily Observer newspaper said in an editorial on Monday. Dario Barthley, a project officer with Cricket West Indies, the sport’s governing body in the region, said in a text message that more than 1,000 residents moved before the storm into the island’s only shelter, leaving hundreds more potentially exposed. “It’s one of the flattest Caribbean islands, so the devastation will be a lot worse there, sad to say,” Mr. Barthely said. Residents of Antigua also expressed concern about Barbudans in text messages and on social media. Phone lines to the sister island have been down for hours, leaving most residents there unreachable, Antiguans said. Pictures on social media of the devastation. 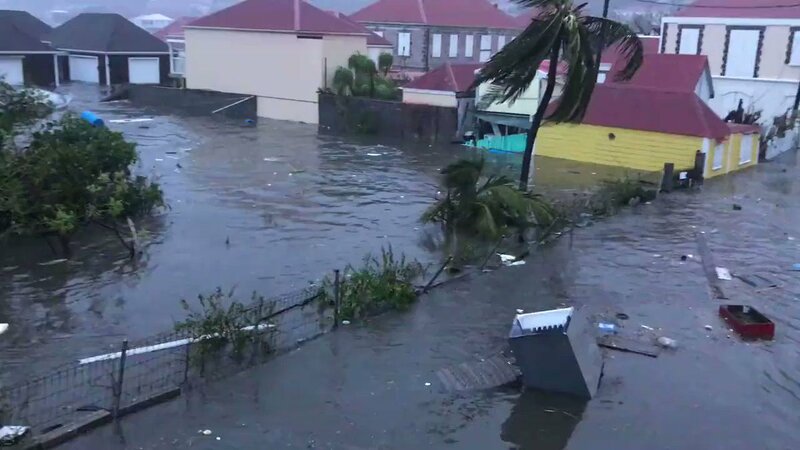 By midmorning Wednesday, the hurricane was “pounding” the island nation of Anguilla, according to the National Hurricane Center, and the storm was also battering the islands of St. Barthélemy and St. Martin. St. Barthélemy was suffering a total blackout, “a number” of roofs had been blown away, the fire station was underwater and the fire trucks were out of service, according to a news release from the prefecture of Guadeloupe. A French government official said that Irma had destroyed the four “most solid” buildings on St. Martin, according to the BBC. But the official, Interior Minister Gérard Collomb, said there was still no news of any casualties. Irma produced high gusts of wind across Antigua, in what appeared to be a less-than-eventful hit on the island early Wednesday. About 4 a.m. local time, the storm was 40 miles north of the island, the National Hurricane Center said. In the Gambles Terrace neighborhood in St. John’s, the capital city, major structures were still intact and houses showed no significant damage. A few fallen branches littered the streets. 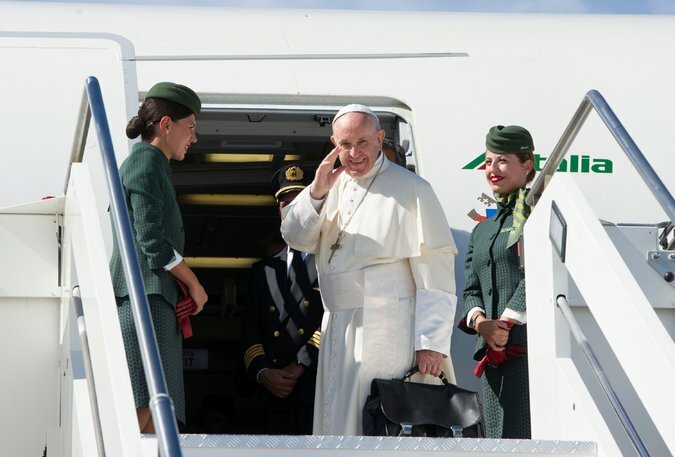 Pope’s plane is forced to change route. The plane flying Pope Francis to Colombia had to change its flight path to avoid Hurricane Irma. The special Alitalia jetliner, which left Rome on Wednesday morning, was originally scheduled to fly over Puerto Rico and Venezuela before entering Colombian airspace, Reuters reported. The revised route takes it south of Puerto Rico, flying over the islands of Barbados, Grenada, Tobago and Trinidad. A new Category 5 storm is bearing down on the Caribbean and could make landfall in Florida this weekend. In Puerto Rico, wary of rising waters. Irma was expected to pass just north of Puerto Rico, which could help the island avoid major damage, but the authorities still warned residents to watch for rising waters. Mr. Rosselló said that about 700 people had sought refuge in shelters across the island, including many in Ponce, on the southern coast. He urged people to leave low-lying areas, and said that the authorities had not yet had to call out the National Guard to get people to leave. Puerto Rico was last hit by a Category 5 storm nearly a century ago, said Bryan Norcross, a hurricane specialist at the Weather Channel. That hurricane, known as San Felipe, killed more than 2,700 people in Guadeloupe, Puerto Rico and Florida in September 1928, according to The Associated Press. Officials in Puerto Rico warned that the island’s fragile electrical grid could be shut down for months in some areas. Mr. Rosselló warned that the powerful winds could thrash the island, its infrastructure, houses and the phone system. The hurricane could not have come at a worse time for Puerto Rico. The island is the throes of an economic crisis and does not have money for rebuilding. Stoic residents say major storms are a fact of life. As the storm bore down late on Tuesday, many residents of the Leeward Islands sounded stoic and battle-tested, saying powerful storms were a fact of life in the region. Dr. John, who lives on the coast, was spending the night with a friend who lives inland. But he and others acknowledged that with the promise of record-high winds, Hurricane Irma could be a new experience for the islands. “This one is a superstorm, so people are very uptight about this,” he said. “We’re talking 185 right now. I can’t recall any hurricane packing on 185 in my lifetime,” he added, referring to winds of 185 miles per hour. On Wednesday, Elias Hadeed, a retired structural engineer and general contractor in Antigua, said that from his perspective, the storm was “much better than expected.” By 6 a.m., he said, the rains had stopped and there had been “no extensive damage” to his garden and his reinforced concrete home. Six islands in the Bahamas are evacuated. 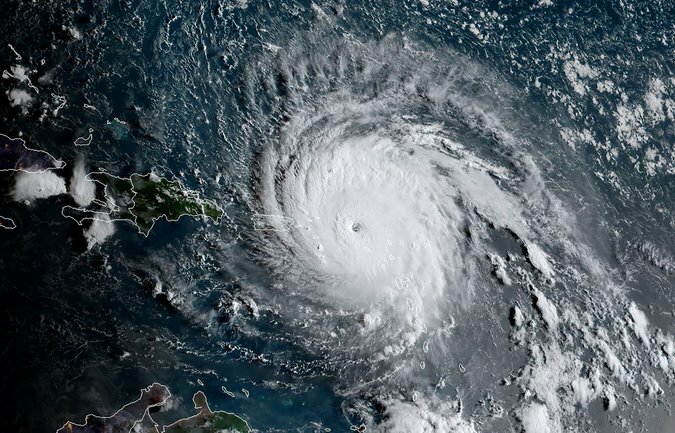 “The price you may pay for not evacuating is your life or serious physical harm,” Prime Minister Hubert Minnis of the Bahamas warned residents. Evacuees from the southern part of the island chain were being flown to Nassau, the capital, on Wednesday, The A.P. said. Mr. Minnis called the operation the “largest evacuation” in Bahamian history. Miami area and the Florida Keys are taking no chances. 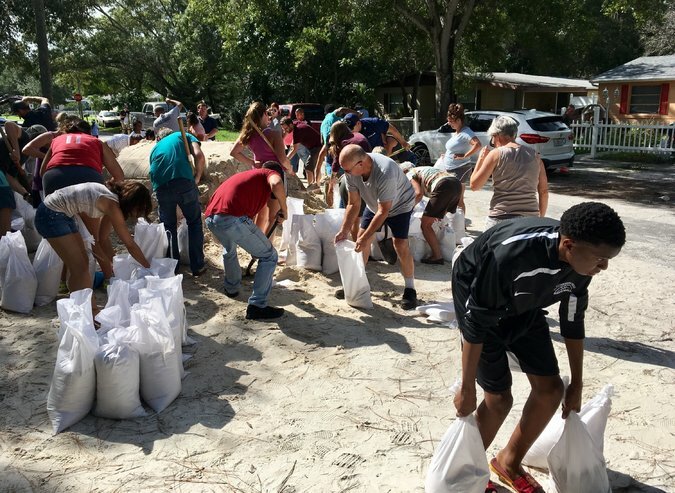 In Miami-Dade County, Florida’s most populous, the memory of the damage brought in 1992 by Hurricane Andrew, a Category 5 storm, spurred residents to prepare for the arrival of Hurricane Irma earlier than usual. Most projections have Irma slamming into the state by Sunday, although it was unclear where it might make landfall. Gov. Rick Scott activated the state National Guard and declared a state of emergency. Evacuation orders for Miami-Dade County were expected Wednesday or early Thursday, Mayor Carlos Gimenez said. Hundreds of thousands of residents are likely to leave their homes as a precaution for what is expected to be unprecedented coastal flooding. The county expected to open shelters on Wednesday, and ordered schools closed on Thursday. The Florida Keys, a vulnerable chain of islands, were under a mandatory evacuation order: Wednesday morning for visitors and Wednesday evening for residents. The islands’ three hospitals began evacuating patients on Tuesday. Hurricane Harvey in Texas was weighing heavily on people’s minds. 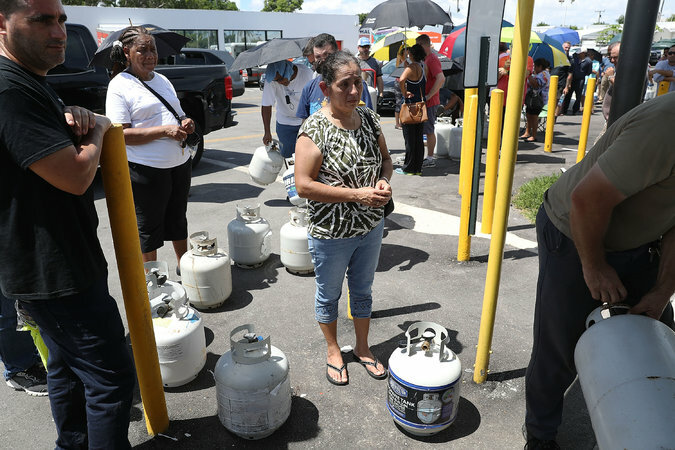 “I think because of Texas, people are freaking out,” said Yoseyn Ramos, 24, a Miami resident who said she was worried because she could not find gas anywhere. Watching Tropical Storm Jose, and Katia. The National Hurricane Center said that Jose was expected to become a hurricane Wednesday night, and that Tropical Storm Katia had formed in the Gulf of Mexico. 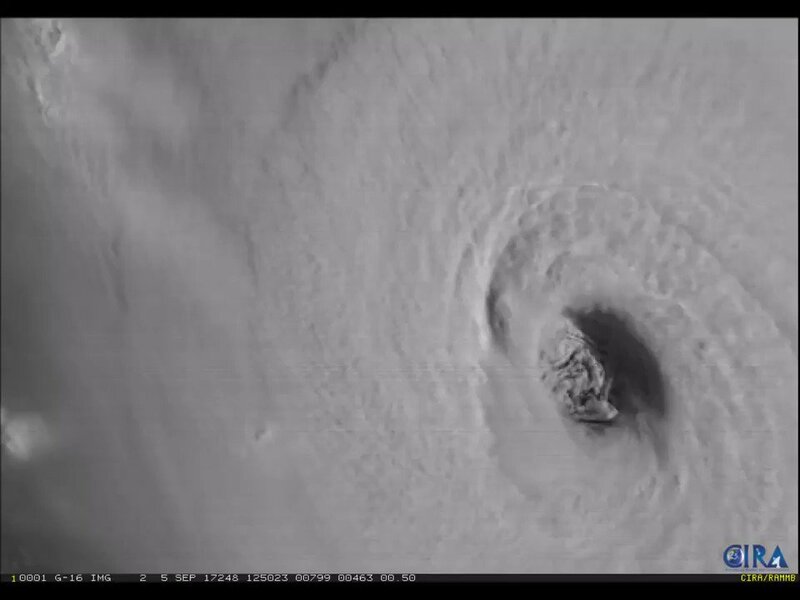 Hurricane Irma was upgraded to a dangerous Category 5 storm early Tuesday as it churned through the Atlantic Ocean. The National Hurricane Center revealed in a 7:45 a.m. advisory that Irma’s sustained wind strength had increased to 175 mph. 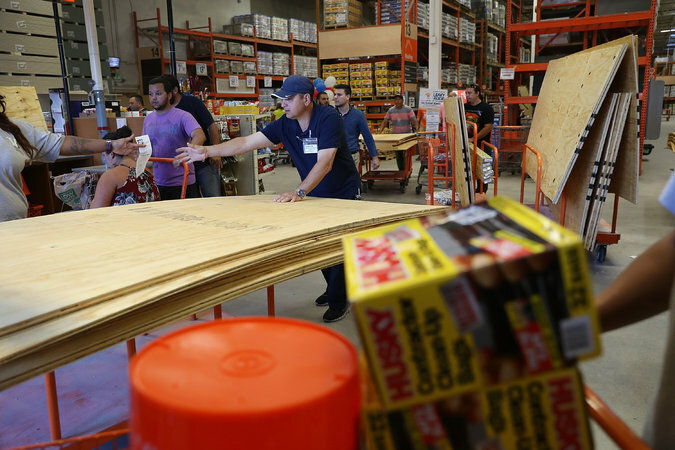 Alligators, toxic waters, mold and risk of electrocution are just a few of the myriad dangers greeting Houston residents returning to their flood-ravaged homes on Friday, as the toll of Hurricane Harvey continues to be felt long after the rains have subsided. Even as the Lone Star State began to dry out, the stagnant water pooled in streets and drenched into carpets continued to make life perilous. Simply stepping in the water posed risks. Other officials warned household chemicals stored under sinks and in cabinets would now be mixed in with the several feet of flood waters that flowed into homes, further contaminating the area. In many areas, streets had begun to dry out but remained clogged with soggy furniture, carpet and wood. The residents of Beaumont, near the Texas-Louisiana line, lost their public water supply, and Texas’ abundance of private wells supplying drinking water also posed another problem. Dr. David Persee, Houston’s director of Emergency Medical Services, told The New York Times, though officials were monitoring the drinking water, the well owner was ultimately responsible for ensuring the water was safe for drinking. “In the City of Houston, we have folks that use well water but we strongly recommend against it – and this will sound awful – we don’t take responsibility for it,” Persse said. On Tuesday in Houston, Andrew Pasek died after he stepped into a yard where a landscape light had electrified the flood water, KTRK reported. “They couldn’t even help my son. They couldn’t resuscitate him. He was in electrified water,” Andrew’s mother, Jodell Pasek, said. Harvey has already claimed at least 39 lives, and rescue workers searching door-to-door knew that figure could still rise. “We don’t think we’re going to find any humans, but we’re prepared if we do,” said District Chief James Pennington of the Houston Fire Department. After electricity and backup generators failed at a Crosby chemical plant, temperature controls ceased to work and explosions began to spontaneously occur. The Environmental Protection Agency and Texas environmental regulators called the health risks minimal in Crosby, but urged residents downwind to stay indoors with windows closed to avoid inhaling the smoke. In Anahuac, armed alligator farm employees took to boats to guard their flooding business, ready to stop the 350 alligators inside from making their way out, The Washington Post reported. Meanwhile, despite food drives and donations, a Port Arthur police sergeant told The Washington Post his city was running out of food and people were continuing to pour into its shelters. With temperatures likely to climb to the low 90s over the weekend, residents were warned about the dangers of heat exhaustion, especially for people who lost power or must toil outdoors. A 41-year-old man was seriously wounded in a shooting about 1 a.m. in the 1900 block of South Peoria Street in the Pilsen neighborhood, police said. He was standing on the sidewalk when someone shot at him, striking him in the chest. He was taken in serious condition to Stroger Hospital. Lloyd Sanders was coming home from work early Thursday when the police lights in his Morgan Park neighborhood grabbed his attention. He walked closer to the crime scene near Ashland Avenue and Monterey Avenue, on the Far South Side. As he got closer, he recognized the man on the ground as one of his neighbors. “I had to go tell his girlfriend,” Sanders said. The man, who had not yet been identified, had been shot multiple times about 5 a.m. Thursday, Chicago police said. He was pronounced dead at the scene. Police did not immediately have additional information about the shooting. The man was left in a vacant lot on a small residential street. A couch and a garbage can could be seen next to the man’s body. Officers temporarily placed a white sheet over the body, his white slippers were still visible. The victim’s girlfriend leaned on a minivan at the edge of the crime scene as she cried. A police detective stood near her. Sanders has only lived in the neighborhood for about a year, but the man who was fatally shot Thursday was one of the first people he met. A man was fatally shot in the Morgan Park neighborhood early Aug. 31, 2017, according to police. The slain man was one of 13 people who were shot during an 11-hour period from Wednesday evening to early Thursday across the city, according to police. In the Pilsen neighborhood, a 41-year-old man was seriously wounded in a shooting about 1 a.m. Thursday in the 1900 block of South Peoria Street, police said. A woman, who did not want to be identified, woke up early Thursday to the sound of gunshots in her neighborhood. When she looked outside, she saw a man on the sidewalk and called 911. After police arrived, she went outside and gave the man a glass of water. He told her he was thirsty. Paramedics lifted the man, who had been shot in the chest, from the sidewalk and placed him on a stretcher. He held onto his cellphone as the paramedics placed him into the ambulance. He was taken in serious condition to Stroger Hospital. A man who had been with the victim declined to comment. Officers searched in groups for evidence from the shooting. On the West Side, there were two separate triple shootings within four hours Wednesday. Three men were shot about 11:30 p.m. in an attack in the 1400 block of South Avers Avenue in the Lawndale neighborhood. A 38-year-old man was shot in the left shoulder, and another 38-year-old man was shot in the right arm, police said. A 33-year-old man was shot in the right foot. Their conditions were stabilized at Mount Sinai Hospital. Police said the men were “uncooperative” with investigators, and the details of what led to the shooting was unclear early Thursday. Another triple shooting took place on the city’s West Side just after 7:35 p.m. The three men were in front of a home in the Austin neighborhood in the 4900 block of West Augusta Boulevard when the shooter walked up to them and opened fire, police said. A 37-year-old man was shot in the face and was in serious condition at Stroger Hospital; a 51-year-old man suffered a gunshot wound to the knee, and had his condition stabilized at Stroger; and 65-year-old man suffered a graze wound to the stomach and declined to be taken to a hospital. — About 11:20 p.m., a 22-year-old man was grazed on the left hand while he was standing outside in the 1500 block of South Komensky Avenue in the Lawndale neighborhood, police said. The shooter could have possibly been inside a passing car. His condition was stabilized at Mount Sinai Hospital. — In South Austin, an 18-year-old man was shot in the abdomen about 9:20 p.m. while he was outside in the 4800 block of West Cortez Street, police said. 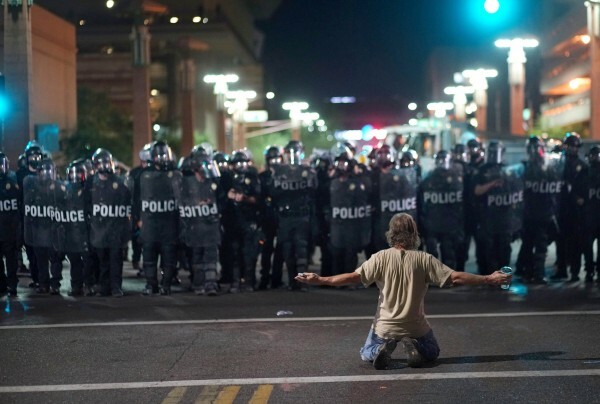 A man, armed with a gun, walked up to him, leading to a struggle between the men. During the struggle, the gun went out, striking the 18-year-old man in the abdomen. His condition was stabilized at Stroger Hospital. — In the West Garfield Park neighborhood about 9 p.m., a 28-year-old man was shot in the left hand while he was walking in the 400 block of South Kostner Avenue, police said. He took himself to West Suburban Medical Center, where his condition was stabilized. — A 35-year-old man was shot in the head about 8:15 p.m. in the 7800 block of South East End Avenue in the South Shore neighborhood, police said. He was taken in serious condition to Northwestern Memorial Hospital. Police did not release additional details about the shooting. — Earlier Wednesday night, a 60-year-old man was wounded in a shooting in the Englewood neighborhood. It happened around 6:20 p.m. in the 6300 block of South Marshfield Avenue, police said in a media notification. The man was on foot in front of a home when a van pulled up and someone inside opened fire, hitting the man in his leg, police said. He was taken to Advocate Christ Medical Center in Oak Lawn where his condition had stabilized, police said. For more on crime in the Chicago area, including detailed information on crime in each Chicago community area, check the Tribune’s crime page. For information on Chicago homicides, check the Tribune’s Chicago homicides page. Information on city shootings is linked on the shootings page. President Trump said Tuesday that “all options are on the table” after North Korea launched a missile over Japan, an act that instantly renewed tensions in the region just days after the regime appeared to be backing down from threats against the U.S. and its allies. “The world has received North Korea’s latest message loud and clear: this regime has signaled its contempt for its neighbors, for all members of the United Nations, and for minimum standards of acceptable international behavior,” Trump said, in a written statement released by the White House. “Threatening and destabilizing actions only increase the North Korean regime’s isolation in the region and among all nations of the world. All options are on the table,” the statement continued. In a first, North Korea on Tuesday fired a midrange ballistic missile designed to carry a nuclear payload that flew over U.S. ally Japan and splashed into the northern Pacific Ocean. The distance and type of missile test seemed designed to show that North Korea can back up a threat to target the U.S. territory of Guam, if it chooses to do so, while also establishing a potentially dangerous precedent that could see future missiles flying over Japan. The White House said that Trump spoke Monday with Japanese Prime Minister Shinzo Abe about the “grave” North Korean threat. “President Trump and Prime Minister Abe committed to increasing pressure on North Korea, and doing their utmost to convince the international community to do the same,” the statement said. Any new test worries Washington and its allies because it presumably puts the North a step closer toward its goal of an arsenal of nuclear missiles that can reliably target the United States. Tuesday’s test, however, looks especially aggressive to Washington, Seoul and Tokyo. The Pentagon told reporters that it was investigating the launch over Japan, adding: “North American Aerospace Defense Command determined the missile launch from North Korea did not pose a threat to North America.” U.S. officials said the Japanese military did not attempt to intercept the missile. South Korea’s air force effectively fired back at North Korea’s missile launch over Japan by conducting a live-fire drill involving powerful bombs, officials said early Tuesday. Four F-15 fighters dropped eight MK-84 bombs that accurately hit targets at a military field near South Korea’s eastern coast, Seoul’s presidential spokesman Park Su-hyun said. Each bomb has an explosive yield of a ton, according to the country’s air force. Tuesday’s launch comes days after the North fired what was assessed as three short-range ballistic missiles into the sea and a month after its second test of an intercontinental ballistic missile, which analysts say could reach deep into the U.S. mainland when perfected. Trump responded earlier this month by threatening Kim Jong Un’s regime with “fire and fury,” touching off an escalating war of words. Kim eventually walked back threats to attack the U.S. territory of Guam, temporarily easing tensions — until the latest round of provocations. The Pentagon told reporters that it was investigating the launch over Japan, adding: “North American Aerospace Defense Command determined the missile launch from North Korea did not pose a threat to North America.” The U.S. Missile Defense Agency said the Japanese military did not attempt to intercept the missile. 1:15 a.m. update: The Army Corps of Engineers began to open two far west Harris County dams hours ahead of schedule, which will eventually add a torrent of water — tens of thousands of gallons of water per second — onto an already flooded major city bayou. Officials in Harris County opened the Addicks and Barker dams at 11:59 p.m., releasing 800 cubic feet of water per second, per second into a swollen Buffalo Bayou, which has already spilled over its banks and into neighborhoods across Houston. That relative trickle will build to a gusher over the next 6 to 8 hours, eventually topping out at 8,000 cubic feet of water — roughly 60,000 gallons — of water flowing into the bayou every second. The Corps opened both dams far earlier than the 2 a.m. opening initially planned for Addicks and nearly 12 hours before the 11 a.m. time initially scheduled for Barker. At an earlier news conference, Harris County officials said the influx of additional water into the bayou would only amount to a marginal increase in the amount of water already flowing. 11:10 p.m. update: The rain came and came across Houston on Sunday night, letting up for only a brief respite before returning with a vengeance — and pushing flooding along a key city bayou to “catastrophic” levels, authorities said. The dire warning from one of Houston’s top forecasters came as Tropical Storm Harvey’s bands of thunderstorms continued to pummel Houston, dropping more than four inches of rain in many neighborhoods across the city this evening alone, totals that will only grow as the night wears on. That precipitation comes on top of morning rains, which came on top of 15-25 inches of overnight rain, which came on top of the few inches that fell Friday and Saturday — all of which have compounded to result in the massive flooding that have devastated broad swaths of the city. The damage even extends to one of Houston’s treasured performing arts centers — its opera house. KHOU-TV confirmed rumors that flood waters had the first main stages of the Wortham Theater Center, which is home to both the Houston Ballet and the Houston Grand Opera. 10:30 p.m. update: Authorities ordered a voluntary partial evacuation of a subdivision in northern Harris County late Sunday as a nearby creek threatens to top its levy as soon as sunrise Monday morning. The order covers residents who live north of Kingsbridge Road in the Inverness Forest Subdivision, which is located along FM1960, between Interstate 45 and the Hardy Toll Road, near George Bush Intercontinental Airport. If Cypress Creek tops the levy, officials believe it could cause flooding that is up to 8 feet deep in places. 8:48 p.m. update: The Army Corps of Engineers announced Sunday evening it will begin a controlled release from two suburban flood control reservoirs in far west Harris County, in a move to prevent possible damage to the dams but could worsen flooding in already waterlogged West and Central Houston neighborhoods. Harris County authorities have ordered voluntary evacuations for the subdivisions that directly abut the Addicks and Barker reservoirs, but emphasized there would be no need for mass evacuations from entire suburbs. The Addicks release is scheduled to begin Monday at 2a.m. ; while the Barker release is set to begin Monday at 11 a.m. Engineers need to open the dams as a sort of pressure release valve because of the tremendous force the rapidly-swelling reservoirs have placed them. However, Lindner said the water would still be flowing into the reservoirs more rapidly than the Corps of Engineers releases it, which will result in flooding in the subdivisions near the reservoirs. The release will also put more water into the already swollen Buffalo Bayou, which has flooded neighborhoods across West and Central Houston. While officials could not say exactly how much it could exacerbate that flooding, Linder said the increase would likely be marginal compared to the amount of water already moving through it. 6:32 p.m. update: Houston Mayor Sylvester Turner told reporters this evening that about 1,000 residents, some in wet clothing, have checked in to the George R. Brown Convention Center, which the city opened as a shelter today with Tropical Storm Harvey continuing to pour rain. “Please help us out,” Turner appealed, by not driving Houston’s roads with, he said, six inches to 10 inches of additional rain expected overnight. Turner said too that 22 aircraft, including 16 provided by the Coast Guard, were employed during the day to spot residents waving for help from rooftops. Turner also tallied boats and high-water vehicles contributing to rescues. “We have a number of needs that exist across the city,” Turner said, calling for Houstonians to be patient as the storm continues to affect the Bayou City for, he suggested, up to five days. Asked afresh if he regretted not ordering a mandatory evacuation of Houston, Turner said not. 5:45 p.m. update: By phone, Harris County’s chief elected official reaffirmed this afternoon that the county wants to hear from individuals with boats and vehicles that could be used—and soon—to rescue Houston-area residents threatened by rising waters. Ed Emmett, the Harris County judge, said the outreach for such specific help, coordinated by the county’s fire marshal, had already resulted in hundreds of volunteers. Emmett said he couldn’t immediately estimate the number of boats or high-water vehicles temporarily committed to search-and-rescues. 5:35 p.m. update: Gov. Greg Abbott spoke with MSNBC today, indicating he expects President Donald Trump to visit Texas someplace away from ongoing rescue efforts. “I’ve spoken with the president and he’s been very supportive of our efforts and he’s provided tremendous aid to us. I’ve spoken both with his FEMA director and as the director Homeland Security. They are both fully engaged and very helpful,” Abbott said. Abbott called offered help from Mexico “very important,” noting that he’d spoken with the office of Mexico’s president, Enrique Peña Nieto, as well as officials from U.S. states—including New York’s Democratic governor, Andrew Cuomo. Abbott predicted that when Trump comes to Texas, he’ll “see great damage. He will, I think, be going close to where the hurricane came across land and there’s great devastation there. And he may even be able to see the flooding that’s taking place in Houston, Texas. And it’s just total devastation. And it will break his heart and it will humble him like it humbles all of us and I know it will spur him to be very helpful to our fellow Texans,” Abbott said. 5:16 p.m. update: Sen. Ted Cruz, R-Texas, says he appealed today to federal officials for “additional assets” vital to successful water rescue efforts as Tropical Storm Harvey hovers over his home city, Houston. Cruz said that while his family home hasn’t flooded, he’s stunned by the waters rising elsewhere in Houston. “I grew up, spent my whole life in Houston, and I’ve never seen anything like what we’re experiencing right now,” Cruz said. 4:07 p.m. update: Like news organizations including CNN and the Dallas Morning News, we have in hand a statement from the White House press secretary, Sarah Sanders, confirming that President Donald Trump plans to visit Texas on Tuesday. —Tropical Storm Harvey is greatly affecting residents of a giant triangle stretching from Corpus Christi on the Gulf of Mexico to Travis County to Chambers County back to Corpus Christi. Some 250 roads have been closed in the same region. To check on closures, go to this web link. —Rescue assistance has come in from federal agencies and the states of Nebraska, Tennessee, Utah, California, Missouri, Ohio, Arizona and New York. —Texas Parks & Wildlife Department wardens helped in 19 water rescues in Bastrop County on Saturday. —To make a donation, call 1-800-REDCROSS or go to this web link. 2:40 p.m. update: A Coast Guard commander, Karl Schultz, said this afternoon no one should presume the worst effects of Tropical Storm Harvey have passed. “We are in for a very significant water event in the coming days,” Schultz said. 2:25 p.m update: Gov. Greg Abbott this afternoon said the state seeks federal designation of additional counties for disaster declarations potentially enabling faster relief. Abbott said he’s asked the Federal Emergency Management Agency (FEMA) to add 12 Texas counties to presidential disaster declarations granted last week in advance of Hurricane Harvey’s arrival. Counties that were already granted the designation: Bee, Goliad, Kleberg, Nueces, San Patricio, and Refugio counties. Abbott, who earlier designated 50 counties as state disaster zones, seeks disaster declarations for these additional counties: Aransas, Brazoria, Calhoun, Chambers, Fort Bend, Galveston, Harris, Jackson, Liberty, Matagorda, Victoria and Wharton. Abbott, addressing reporters at a state emergency action center, listed out state “assets” including aircraft, ambulances and boats dispatched to help Texans slammed by Tropical Storm Harvey, declaring: “We are still moving hundreds of evacuees to safe locations” across the region stretching from Corpus Christi north into Houston. “Our top priority is to protect human life,” Abbott said. Abbott indicated he wasn’t ready to address decisions by local officials, in some cases, not to order residents to evacuate in advance of the hurricane’s arrival. “Now is not the time to second-guess the decisions that were made,” Abbott said. Asked to comment on reports that Houston-area authorities are running light on rescue boats and high-water vehicles, Abbott replied: “We’re providing to Houston every asset they’ve asked for,” including about 20 air assets, he said, 60 boats and “countless” high-water vehicles. The governor said too the state stands ready to provide more on request. 1:49 p.m. update: The head of the Federal Emergency Management Agency told a newspaper today Hurricane Harvey may add up to the worst disaster to hit Texas—ever. “This will be a devastating disaster, probably the worst disaster the state’s seen,” William “Brock” Long, confirmed as FEMA’s administrator in June, told The Washington Post in an interview. “The recovery to this event is going to last many years, to be able to help Texas and the people impacted by this event achieve a new normal,” Long said. 1:13 p.m. update: A Williamson County town has the existing rainfall record, Michael Barnes of the Austin American-Statesman noted in this reminder. Thirty-eight inches of rain fell in Thrall, east of Taylor, in a little more than 18 hours in September 1921. The floods ran quickly off baked prairie soil to inundate Brushy and Salado creeks, as well as the San Gabriel and Little rivers. People had scant chance to escape; more than 170 Central Texans died. 12:35 p.m. update: Harris County Judge Ed Emmett announced the evacuation of Ben Taub Hospital at a midday press conference where he also said residents need to help one another. As recapped by the Houston Chronicle, Emmett also said help is coming into the Houston from state and federal officials, but for the interim local residents need to rely on one another. “We cannot wait for assets to come from outside,” Emmett said. As water drenches the region, he said equipment such as boats and high water vehicles cannot get into the area. “We are asking the public to help,” Emmett said. “We need your help. 11:49 a.m. update: Brazoria County is ordering some residents to evacuate, the Houston Chronicle reports. The newspaper says Brazoria County officials have issued a mandatory evacuation order for all areas west of Texas 288 and south of Texas 6, covering roughly the entire western half of the county. “We’re asking your citizens to please pack your things and evacuate now,” Brazoria County Judge Matt Sebesta was quoted saying. County officials said people should leave the area via Texas 35 west, then take Texas 71 north to Interstate 10. 11:31 a.m. update: Gov. Greg Abbott will update the state on conditions and you can watch on the American-Statesman site here. Abbott is expected to speak within the half hour. 11:20 a.m. update: In a fresh briefing, the National Weather Service says Tropical Storm Harvey is on a path to travel southeast before looping back ashore—Tuesday into Wednesday. The service says the storm is now centered near Cuero in Southeast Texas and “will continue southeast and emerge just offshore of the Mid Texas coast Monday night. Harvey is then forecast to make a loop and come back onshore into Southeast Texas Tuesday into Wednesday as a” tropical storm, the service says. Some parts might see less rainfall than feared, the service says. 11:13 a.m. update: The M.D. Anderson Cancer Center will continue to treat patients, a spokesman says this morning, though flooding poses challenges. From Brette Peyton: “ALL MD Anderson Cancer Center locations will remain closed for outpatient services and appointments, as well as surgeries, on Sunday, Aug. 27, and Monday, Aug. 28, due to severe weather in the Houston area. Only inpatient hospital care areas will remain active. If there are immediate medical needs, patients should access care at their local hospitals. Patient appointments will be rescheduled once the weather emergency has been resolved. “Currently, roads around the Texas Medical Center Campus are impassable. Patients and staff should not attempt to travel,” Peyton said. 10:55 a.m. update: Texan Michael McCaul told Fox News in a morning interview that all Texas ports are closed except the one in Brownsville. Rep. McCaul, R-Austin, chairman of the House Homeland Security Committee, further credited Gov. Greg Abbott and President Donald Trump with identifying counties for federal disaster declarations before Hurricane Harvey hit the Gulf Coast. “This has been one of the best responses to one of the worst hurricanes I’ve seen in my lifetime hit the coast of Texas,” McCaul said, adding that up to two feet more of rain could hit Houston. McCaul was interviewed the same morning that President Trump tweeted out praise for hurricane responses in Texas. 10:31 a.m. update: Exxon Mobil is shutting down the nation’s second-largest refining complex in Baytown as the aftermath of Hurricane Harvey wreaks havoc, the Houston Chronicle reports. The Baytown campus, which also produces petrochemicals, can churn out up to 560,000 barrels of fuel a day, a major source of the Gulf Coast and nation’s gasoline supplies. “Safety is our first priority, and we have taken all the precautions to minimize impact to community and employees throughout the shutdown process,” Exxon Mobil spokeswoman Suann Guthrie said. Previously, refineries were shuttered temporarily in Corpus Christi by Valero Energy, Citgo Petroleum and Flint Hills Resources and Harvey prepared to make landfall. Now Houston refining corridor is beginning to close. More than 25 percent of the nation’s fuel supplies are produced just along the Texas Gulf Coast. Turner said some 40 rescue boats are expected through the day. He said too the city will continue to open as many rescue shelters as needed and the George R. Brown Convention Center has been opened to people in need as well. “If you are there and need help, we will get to you,” Turner said. “If water is in your home, let me encourage you not to come up into the attic,” Turner said, unless “you know there is an exit out.” Separately, Houston Police Chief Art Acevedo has said that if you enter an attic, make sure and have an axe to get out. Watch the mayor’s livestreamed comments here. 9:50 a.m. Flooding, or anticipated flooding, is touching off law-enforcement decisions—lately including a mandatory order in La Grange for residents to evacuate, as reported here. The Colorado River is projected to crest there at 3 a.m. Monday. Hays County authorities rescued a few people overnight Saturday but otherwise the situation isn’t dire yet, according to a press release issued this morning. HOUSTON — It was supposed to be bad. It wasn’t supposed to be this bad. Thunderstorms pummeled this city overnight Saturday as Tropical Storm Harvey stalled out again, dropping more nearly two feet of rain in some residential neighborhoods, which triggered widespread flooding that is already blamed for five deaths. To the south, it was even worse. More than two feet of rain fell at the National Weather Center’s Houston office in League City, about 30 miles south of Houston proper. Emergency responders turned swamped freeway overpasses into ramps to launch rescue boats, Houston Chronicle reporter Dug Begley tweeted early Sunday morning. Gov. Greg Abbott told Fox News that damage from Harvey will be in the billions of dollars statewide. Throughout Friday and much of Saturday, Houston’s bayous gamely kept up with Harvey’s wrath. But the foot-plus of rain that fell over virtually every part of the city overnight proved to be too much. Water spilled over banks of the bayou and into surrounding neighborhoods. Officials here have reported performing at least 1,000 high-water rescues with thousands more needed as homes were inundated by the water. The 911 system here was so overwhelmed that officials begged Houstonians to only use it if they were in immediate danger. The weather forecast shows no reprieve in sight for this city and county of 4.5 million people. Rain, including more torrential downpours, remains in the forecast for the rest of today. 6:40 a.m. update: Five people are reported dead in Houston as Tropical Storm Harvey has dumped up to 30 inches of rain, the Houston Chronicle is reporting. The newspaper reported the weather service said five people have died in the Houston area in unconfirmed flood-related deaths. Computer models show continued rounds of thunderstorms spawned by Harvey, which has been downgraded from a hurricane to tropical storm. Blood said the Houston area can expect at least an additional 15 to 25 inches over the next few days. 6 a.m. update: Emergency workers in Houston are overwhelmed with calls for water rescues, having responded to “hundreds” as of early Sunday, the Houston Chronicle is reporting. Three people have been reported dead. Houston police officials also evacuated two apartment complexes in Greenspoint, rescuing more than 50 children from rising flood waters overnight. A mother and child have apparently died in flood waters on Interstate 10, the newspaper reported, bringing Houston’s Harvey death toll to three. Harris County Sheriff Ed Gonzalez tweeted at 2:41 a.m. about an unconfirmed report that a female and child were inside a submerged vehicle along Interstate 10 near Lathrop. A woman who allegedly tried to exit her flooded car near the Buffalo Bayou became the city’s first fatality Saturday night, authorities said. Some neighborhoods have been hit with more than 15 inches of rain, the Chronicle reported, forcing some residents to flee to their attics, especially along Interstate 45 between downtown and Clear Lake, including parts of Pasadena. Officials with the National Weather Service called the flooding “catastrophic” and “life-threatening,” and authorities urged people to stay off the roads. The National Weather Service in Houston warned residents to seek shelter on a roof if the highest floor inside the house becomes dangerous. 3:30 a.m. update: Some in Houston are climbing into attics to flee rising flood waters, the Houston Chronicle is reporting. Those reports were coming from areas along Interstate 45 between downtown Houston and Clear Lake, the Chronicle reported. Early Sunday, the Harris County sheriff tweeted that there were reports of several submerged vehicles on Interstate 10 at Lathrop and added that, while it was unconfirmed, crews were investigating reports that one of the vehicles possibly had a deceased woman and child inside. Earlier: HOUSTON — A miles-long string of booming thunderstorms from Tropical Storm Harvey brought torrential rains overnight Saturday that flooded city streets, drowning one person. Previous Fox lottery coverage told people to “buy as many tickets as you can afford. JON SCOTT (CO-HOST): Michael. Michael, I am sorry, we have got breaking news as well. Michael Brennan. Thank you. HEATHER CHILDERS (CO-HOST): And now we’re going to take you to the Powerball jackpot winner, who is being revealed a very rich, rich woman today — $759 million. The Powerball winner coming forward in Massachusetts. 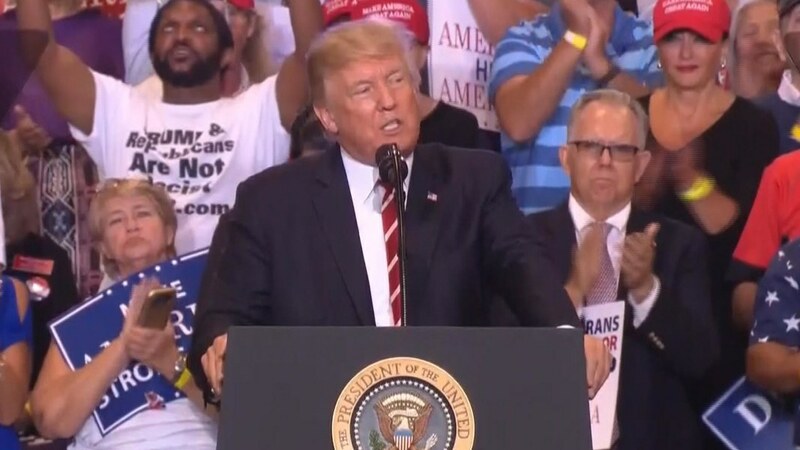 PHOENIX, Ariz. — President Donald Trump strongly hinted Tuesday night that he might pardon Sheriff Joe Arpaio, saying Arpaio will be “just fine” despite being found guilty of criminal contempt for violating a court order. “Was Sheriff Joe convicted for doing his job?” the president asked. Arpaio is a former Maricopa County, Arizona, law enforcement officer, who ignored a court order to stop detaining suspected undocumented immigrants. Trump had been rumored to be considering a pardon for Arpaio, an early and outspoken supporter. He told Fox News last weekend he was “seriously considering” a pardon for the former sheriff, a folk hero among conservatives and a lightning rod for critics of his aggressive immigration crackdowns. But the White House said before Trump’s campaign rally that a pardon would not come during Tuesday’s event. “I’ve been with him from day one, and I’ll always be with him and support him,” Arpaio said. Arpaio served as sheriff for 24 years before losing his re-election bid last November. A judge ruled last month that the former sheriff had committed a crime by flouting the order not to detain suspected undocumented immigrants. The decision was widely seen as a rebuke of a law enforcement official whose tactics — including housing immigrants in a tent city and forcing detainees to wear pink underwear — had long been divisive. 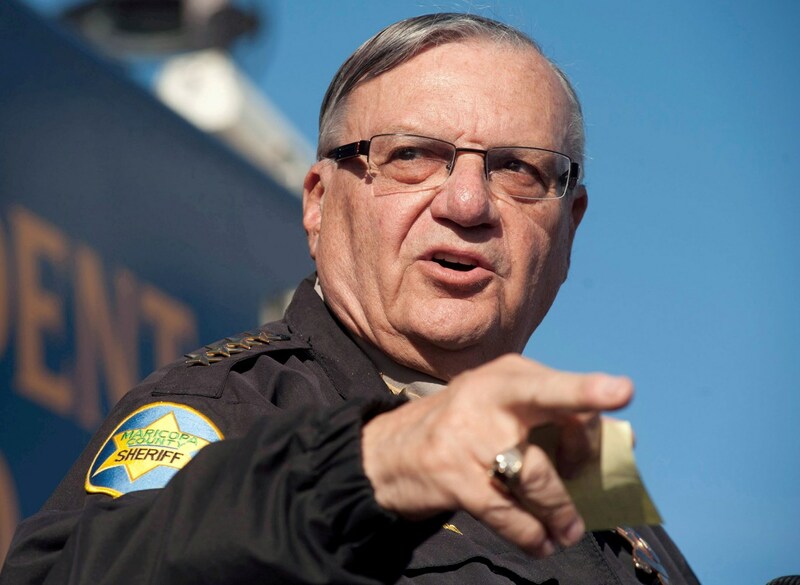 In 2013, a judge found Arpaio and his deputies had engaged in racial profiling against Latinos, backing up the findings of a 2011 Justice Department report. Arpaio’s sentencing is set to start on Oct. 5. He intends to appeal the verdict. In a free-wheeling speech that lasted more than an hour, Trump also renewed his offensive against the media, indicting news outlets for giving “a platform to hate groups,” blaming journalists for “division in our country,” and defending himself by reading to supporters his responses to the rally of white supremacists in Charlottesville, Virginia, last week. The president said his words at the time were “perfect” — noting that he condemned the KKK and white nationalists — and charged the media’s coverage was biased against him, alleging a “double standard” from the coverage President Barack Obama received on race-related issues. 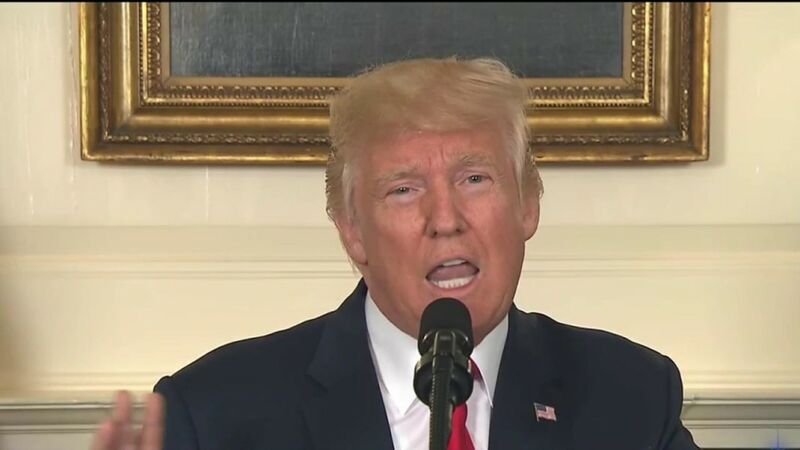 Trump, however, did not mention that he had blamed “both sides” for violence — a comment which drew such widespread criticism at the time. “The only people giving a platform to these hate groups is the media itself and the fake news,” he added. But Trump’s discussion of national issues also took a local turn Tuesday. 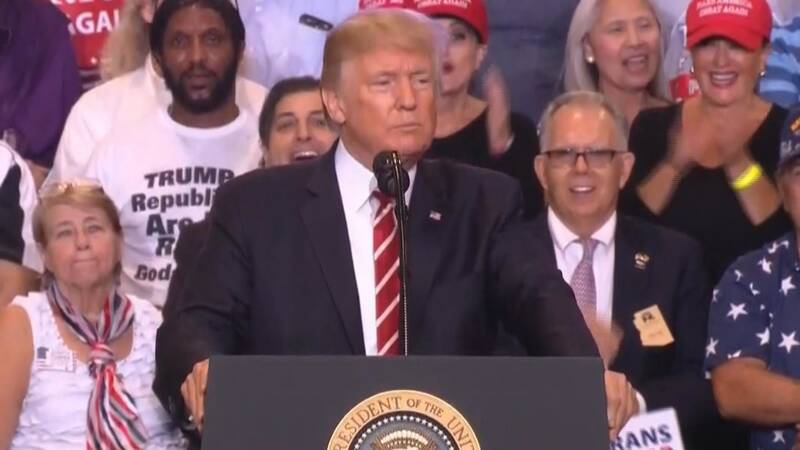 Though he didn’t name names — in what he called a “very presidential” move — he indirectly criticized both Arizona senators, John McCain, who is battling brain cancer, and Jeff Flake, who is facing a tough re-election. Both are Republicans. After Trump repeatedly lamented that “one vote!” had prevented Republicans from advancing efforts to repeal Obamacare, the crowd chanted “McCain’s gotta go!” McCain had opposed the GOP bill. “And nobody wants me to talk about your other senator,” Trump said, moving on to Flake — whom the president called weak on crime and illegal immigration. Trump also showed a willingness to shut down the government if that’s what it takes to get funding for his long-promised border wall with Mexico. “If we have to close our government, we are building that wall,” he said, referring to the budget battles that lie ahead as Congress considers whether to spend billions on the wall. Outside the venue, four protesters were arrested, police said, for offences including aggravated assault and criminal damage. “They broke down fencing and at one point dispersed gas into and at the officers,” Phoenix Police Chief Jeri Williams told reporters. 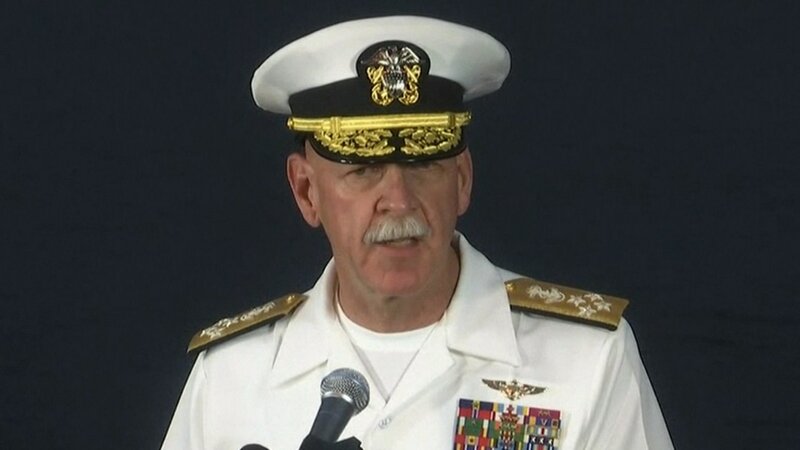 The remains of “some” American sailors have been found in sealed compartments aboard the USS John S. McCain, Adm. Scott Swift of the U.S. Pacific Command said Tuesday. Swift said the Malaysian Navy, which has been involved in the search, has also located “potential” remains and they are working to confirm and identify those discovered. The Navy vessel suffered significant damage to its hull when it was hit by the Alnic MC, a 30,000-ton chemical and oil tanker sailing under the Liberian flag. Ten sailors have been missing since the incident which occurred Monday. Swift did not identify who or how many people the remains belonged to. “Its premature to say how many and what the status recovery of those bodies is,” he told reporters. Video footage of the USS John S. McCain released Monday showed a gaping hole in the vessel where the impact occurred. The collision is the fourth in a year involving a U.S. Navy vessel. Chief of Naval Operations Adm. John Richardson announced Monday that Navy operations would be paused around the world and a full safety review ordered. The USS John S. McCain arrived at Changi Naval Base Monday where damage control efforts halted further flooding. The warship was on its way to a routine port visit in Singapore when the collision occurred. Navy Divers accessed sealed compartments located in damaged parts of the ship and conducted assessments of the hull and flooded areas, a statement from the U.S. Navy said Tuesday. Meanwhile, ships from the Malaysian and Singaporean navies continued to provide search and rescue assistance alongside U.S. helicopters and vessels near the site of the crash the statement added. Yet quite how the Navy vessel, which is 505 feet in length, collided with the 600-foot Alnic MC remains unclear. Swift offered no further details on the cause of the crash but said the search and recovery mission continued and that a thorough investigation would be carried out. On May 9, meanwhile, the USS Lake Champlain collided with a South Korean fishing boat off the Korean peninsula. And on August 19 last year, the USS Louisiana collided with the USNS Eagleview, a Navy support vessel, off the coast of Washington State. No one was injured in either incident. CORRECTION (7:45 a.m., Aug. 22): An earlier version of this article misstated the registry of the tanker that collided with the USS John McCain. It flies under the flag of Liberia, not Libya. American, Singaporean and Malaysian armed forces on Monday are searching for 10 U.S. sailors missing after an early-morning collision between a Navy destroyer and a tanker near Singapore–the second collision involving a Navy ship in the Asia-Pacific region in two months. The Navy says five sailors were hurt in Monday’s collision between the USS John S. McCain and the 600-foot Alnic MC, an oil and chemical tanker. The four who required additional treatment were taken by helicopter to Singapore, where the McCain had been headed. Thoughts & prayers are w/ our @USNavy sailors aboard the #USSJohnSMcCain where search & rescue efforts are underway. The collision with the merchant vessel Alnic MC occurred east of Singapore, Aug. 21. One of the injured, Operations Specialist 2nd Class Navin Ramdhun, posted a Facebook message saying he was OK and awaiting surgery for an arm injury. He told The Associated Press that he was sleeping at the time of the collision and is not sure what happened. The collision occurred at 6:24 a.m. Japan Standard Time. 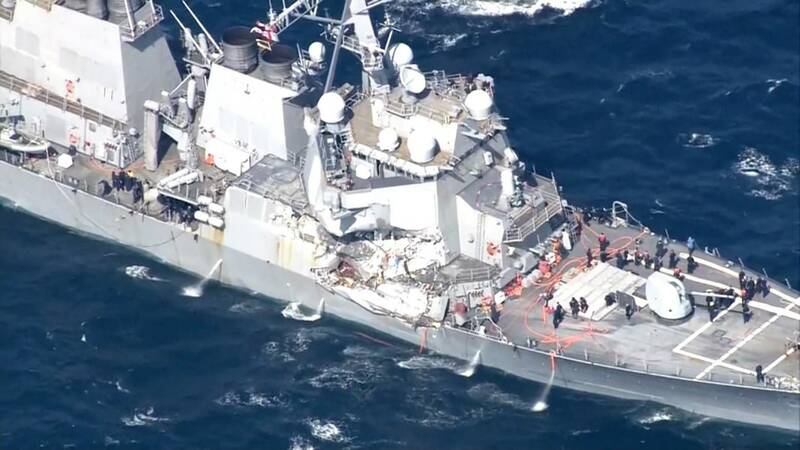 Significant damage to the hull resulted in flooding to nearby compartments, including crew berthing, machinery, and communications rooms a Navy statement said. Damage control efforts by the crew prevented further flooding, the statement said. Initial reports indicate #USSJohnSMcCain damaged to port side aft. Extent of damage and injuries being determined. The ship has arrived at Changi Naval Base in Singapore. It sailed under its own power, Reuters reported. The warship is named after John S. McCain, Sr., and John S. McCain, Jr., both Admirals in the U.S. Navy, and the grandfather and father, respectively, of the Arizona senator. Cindy & I are keeping America’s sailors aboard the USS John S McCain in our prayers tonight – appreciate the work of search & rescue crews. The ship is based at the fleet’s homeport of Yokosuka, Japan. It was commissioned in 1994 and has a crew of 23 officers, 24 chief petty officers and 291 enlisted sailors, according to the Navy’s website. Sen. McCain tweeted Sunday night he and his wife, Cindy, were keeping the sailors in their prayers. He’d recently visited the warship in Vietnam. This marked the fourth mishap for U.S. Navy ships in the Pacific since February. Aside from the USS McCain and USS Fitgerald incidents, the Navy crusier USS Antietam ran aground dumping more than 1,000 gallons of oil in Tokyo Bay in February. In May, another cruiser, USS Lake Champlain, hit a South Korean fishing vessel. An active-duty Navy officer expressed concern to Fox News over the training of young Navy officers aboard ships. “It’s not the same level of training you used to get,” the officer said. Fox News’ Kristin Brown, Lucas Tomlinson and The Associated Press contributed to this report. Phares: Trump in right direction on terror, has own style. Police in Spain announced early Friday they killed five people in a suspected second terror attack in Cambrils, hours after a van rammed into a crowd about 70 miles away in Barcelona, killing at least 13 people. State-run broadcaster RTVE reported the suspects attempted to carry out a similar attack to the one in Barcelona, by driving a vehicle into pedestrians. It said seven people were injured — two seriously — by the suspects. Authorities said the suspects were wearing bomb belts. He did not explain what connected the attacks. Meantime, authorities were on the hunt for the van driver that killed at least 13 people and injured more than 100. It was not immediately clear how the suspects killed in Cambrils may have been connected to the Barcelona attack. At least three people have been arrested as suspects in the Barcelona incident, according to the regional president of Catalonia. One of the suspects is a Spanish national from Melilla, and the other is a Moroccan citizen who lived in Spain legally. ISIS claimed responsibility for the terror attack on Thursday through its propaganda arm, according to SITE Intel Group. “The perpetrators of the attack in #Barcelona are Islamic state soldiers and carried out the operation on command of [ISIS’ leader] of targeting coalition countries,” the ISIS release stated. 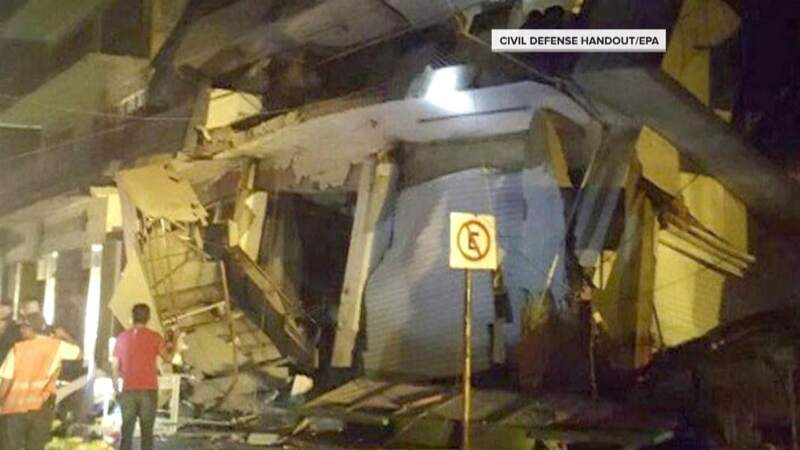 A senior police official said the van attack is connected to a gas explosion inside a house in the town of Alcanar Wednesday, in which one person was killed and seven were injured. Police officers tell members of the public to leave the scene in a street in Barcelona, Spain. Police initially named Driss Oukabir, the Moroccan, as a suspect in the attack. However, local media are reporting a man with that name told police that his identification documents were stolen, possibly by his younger brother. The white van jumped onto a promenade and sped through a pedestrian zone on Las Ramblas of Barcelona, the famous main pedestrian walk way that crosses the city. The van swerved from side to side as it plowed into tourists and residents. “It was clearly a terror attack, intended to kill as many people as possible,” senior police official Josep Lluis Trapero said at a news conference. RTVE reported that investigators think two vans were used — one for the attack and a second as a getaway vehicle. Police killed a gunman in a shootout a few miles from Barcelona soon after the crash, El Mundo newspaper reported. However, police said later the gunman was not linked to the terror attack. Local media originally reported two men involved in the attack had been holed up in a bar, but that was dispelled by Catalan police. Barcelona Mayor Ada Colau announced a minute of silence will be held Friday in the city’s main square “to show that we are not scared.” The moment of silence will be followed by three days of mourning. “We are a strong city in its diversity and values. Barcelona is a city of peace, of dialogue, of democracy, valient, open to the world. The cowards that have tried to plant terror will not get away with it,” Colau said. “London, Brussels, Paris and some other European cities have had the same experience. It’s been Barcelona’s turn today,” said Carles Puigdemont, the head of the regional government. Prime Minister of Spain Mariano Rajoy tweeted that he is going to Barcelona. A grisly video of the incident appeared to show at least five people lying motionless on the ground, with legs twisted and heads bloodied. “It was real chaos, people started running, screaming. There was a loud bang,” eyewitness Ethan Spibey told Sky News. Footage from reporters on the ground shows armed officers combing a market. Barcelona resident Keith Fleming told the Associated Press he was watching television in his building on a side street just off Las Ramblas when he heard a noise and went out to the balcony to investigate. Fleming said he saw “women and children just running and they looked terrified,” he then heard a bang, possibly from someone rolling down a store shutter, as more people raced by. 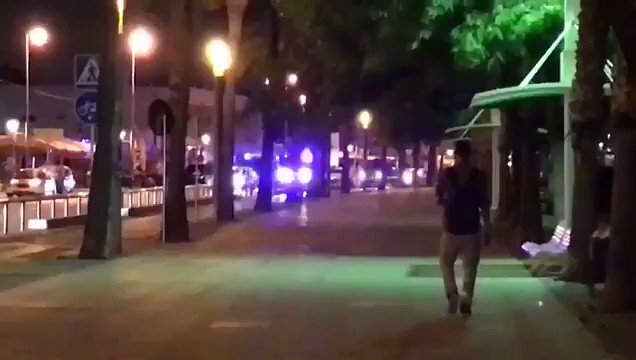 The American living in the Spanish city said police arrived, and pushed everyone a full block down the street. He says the officers still are there with guns drawn and riot police stationed at the end of the block. Speaking from Panama, Vice President Pence called the day “tragic.” He acknowledged that ISIS took credit for the attack, and said “whoever is responsible should know, together with our allies, we will punish those responsible” and rid “Islamic terror” from the world. “This latest attack, the worst terror attack on Spanish soil since the 2004 Madrid train bombings, shows us again that radical Islamic terrorism is one of the greatest threats that we face today,” Pence said. Emergency services in Catalonia say they have asked the Metro and train services in the area to close. Police cordoned off the broad street and shut down its stores, and asked people to stay away from the area so as not to get in the way of the emergency services. Facebook has activated its Safety Check feature that lets users notify friends and family that they are safe following the Barcelona attack. If you are a #USCitizen in #Barcelona and you are safe, please let family & friends know, including by updating your status on social media. Barcelona’s tourism association has offered rooms in area hotels to tourists who have been displaced by ther attack. “Americans in Spain: If you are safe, be sure to notify friends and loved ones. If you use social media, be sure to update your status,” the consulate tweeted. The National Counterterrorism Center, the government hub for threat analysis, confirmed to Fox News the center is monitoring the events in Barcelona and note the use of a vehicle as a weapon. #Barcelona: those needing welfare/whereabout info on US cits in #Spain call 888-407-4747 if in US/Canada or 202-501-4444 in other countries. The Department of Homeland Security said Acting Secretary of Homeland Security Elaine Duke has been briefed on the situation. “DHS has reached out to Spanish authorities, and the Department is standing by to support our allies as they respond to and recover from this horrendous attack. Our thoughts and prayers are with the victims and those affected,” the agency said in a statement. On Twitter, the Department said those who need information on U.S. citizens in Spain, to call 888-407-4747 if in the U.S. or Canada. Spain has been the target of numerous terror attacks in the last few years, drawing the attention of the U.S. State Department. The attack was the country’s deadlist since 2004, when Al Qaeda-inspired bombers killed 192 people in coorindated attacks on Madrid’s commuter trains. Since July 2016, vehicles have been used to ram into crowds in terror attacks across Europe, killing well over 100 people in Nice, Berlin, London, and Stockholm. Las Ramblas is a packed tourist area in central Barcelona whose central feature is a broad promenade leading to the water. The stretch is lined with numerous shops, restaurants, a sprawling market and Gaudí architecture. People walk down a wide, pedestrianized path in the center of the street, but cars can travel on either side of the area. Fox News’ Catherine Herridge, Lucia Suarez, Jake Gibson, Cody Derespina, James Rogers, Judson Berger, Michael Arroyo and The Associated Press contributed to this report. 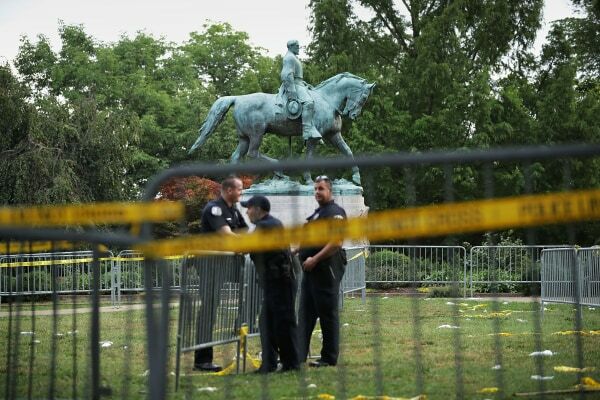 Local officials in several states have renewed calls to remove Confederate monuments from public spaces, following the outrage at the deadly violence surrounding a white nationalist rally in Charlottesville, Virginia, over the weekend. In Kentucky, Lexington Mayor Jim Gray announced plans to move two Confederate statues from a public area near a historic courthouse in the city that is being turned into a visitor’s center. “I think in times like this it’s extremely important that elected officials communicate clearly with their constituents — it’s time to stand up and speak out, not sit back and relax,” he told NBC News on Monday. Gray added that he had already made the decision to relocate the monuments from the prominent area of the city beforehand, but decided to make the announcement following the chaos in Charlottesville. On Friday and Saturday, rallies supported by white nationalist groups in Charlottesville ended in a woman being killed and at least 19 others wounded after a man plowed his car into a crowd. Organizers said the rallies were held to protest the removal of a statue of Confederate Gen. Robert E. Lee. On Monday in Maryland, Baltimore Mayor Catherine Pugh said in a statement: “It is my intention to move forward with the removal of Baltimore City’s confederate statues.” Pugh added that she had read the recommendations of an earlier task force and had taken steps to appoint a working group to lead the process. 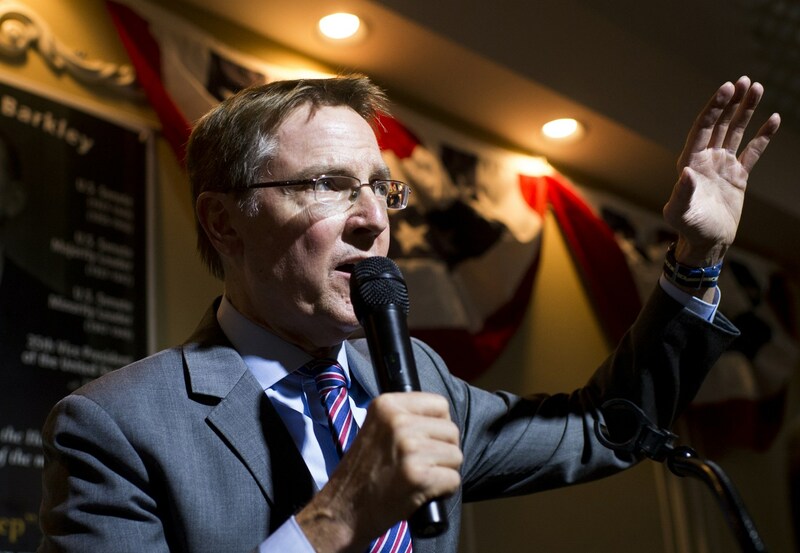 U.S. Senate candidate Jim Gray, D-Ky., speaks at the 11th annual Alben Barkley Dinner hosted by the Mccracken County Democrats in Paducah, Kentucky, on Aug. 4, 2016. Gray, who is the mayor of Lexington, Kentucky, is running against Sen. Rand Paul. Bill Clark / CQ-Roll Call,Inc. Baltimore City Councilman Brandon M. Scott told NBC News on Monday night that a resolution he proposed calling for the deconstruction of the city’s Confederate monuments had been unanimously approved by the City Council. “What no one who saw what we saw in Charlottesville … should do is sit back and just say that we should allow these monuments to stay up across our country, so these folks have lightning rod to come to,” he said. Scott’s resolution calls for melting down the Confederate monuments. “They should be melted down and re-purposed to honor true American heroes,” he said. Scott said after his resolution was approved, the final decision would still be in the hands of the mayor. And in Florida, two cities on Monday were moving on initiatives to haul off controversial Confederate symbols. Anna Lopez Brosche, president of Jacksonville’s City Council, said in a statement that she was asking city officials to conduct an inventory of all of the Confederate symbols on public property in order to develop a plan of action to relocate them. Brosche said she intended to propose legislation to move them to museums and other institutions where they would be preserved and given historical context. 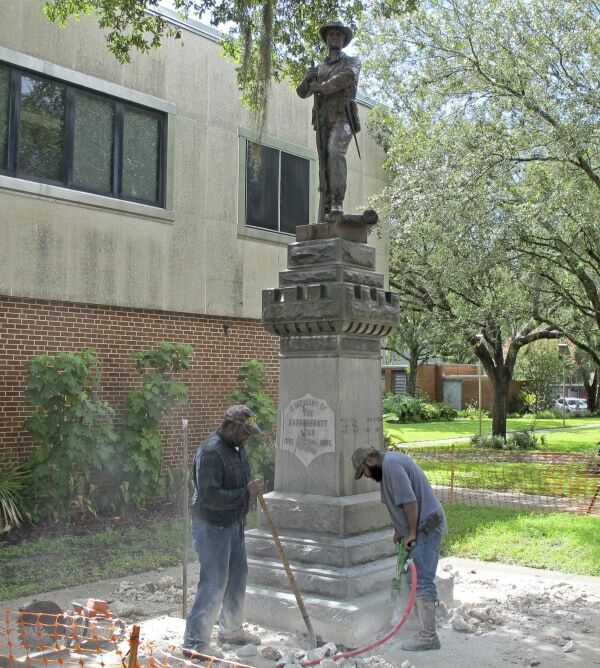 Meanwhile, about 70 miles south, the city of Gainesville had torn down a statue known as “Old Joe” outside of the Alachua County Administration Building to be returned to the local chapter of the United Daughters of the Confederacy, which erected it in 1904. City officials said the statue’s removal had already been planned for months before what happened in Charlottesville. Symbols of the Confederacy have once again become a source of intense controversy as protesters on both sides have engaged in heated protests over their removal. 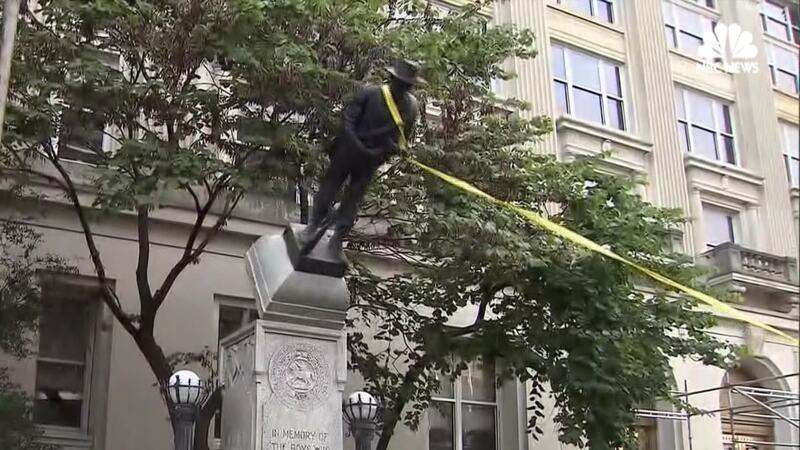 On Monday night, protesters toppled a Confederate monument in Durham, North Carolina, using a ladder and rope, according to NBC affiliate WRAL. The decision to remove the Confederate Soldiers Monument was not condoned by authorities. The Durham County Sheriff’s Office said Tuesday that they want to identify those involved and will seek vandalism charges. “I am grateful the events that unfolded Monday evening did not result in serious injury or the loss of life, but the planned demonstration should serve as a sobering example of the price we all pay when civil disobedience is no longer civil,” Sheriff Mike Andrews said in a statement. On Saturday, hundreds protested the presence of a Confederate statue in San Antonio, Texas, after a similar rally was held last month. And last week, protesters clashed in Dallas over another monument, according to NBC Dallas-Fort Worth. In May, New Orleans authorities removed a statue of Confederate President Jefferson Davis during tense demonstrations. And in the capital of Virginia there is an ongoing debate on whether Confederate monuments there should stay or go. In June, Richmond Mayor Levar Stoney said the monuments could stay but announced the formation of a 10-person committee to help “redefine the false narrative” of the statues and add more context. A Confederate heritage rally at one of the statues is planned for September 16. The request was filed on July 28 and is pending approval, officials said. In light of the events in Charlottesville, Stoney has said he still believes the monuments should stay but allowing a rally should be carefully considered. Christy Coleman, co-chair of the commission, said any changes made to their focus will come from Stoney. “However, we are not blind to the conversations taking place not only around the country but in our community,” Coleman said in an email to NBC News. Public outcry and support for removing Confederate monuments and symbols from publicly-owned areas and buildings escalated after white supremacist Dylann Roof killed nine parishioners at a historically black church in Charleston, South Carolina, in 2015. In Lexington, Gray said on Monday his move must now be approved by the Lexington-Fayette Urban County Council and Kentucky Military Heritage Commission. The plan was to possibly move them to a park honoring veterans and create an area dedicated to the Civil War and include context along with the statues, alongside additional works including those of Union troops and perhaps an African American unit. DOJ opens investigation into Charlottesville car attack. Trump remained out of sight and silent as pressure mounted from both sides of the aisle for him to explicitly condemn white supremacists and hate groups involved in deadly, race-fueled clashes. The White House tried to stem the damage on Sunday. Senior aides were dispatched to the morning news shows, yet they struggled at times to explain the president’s position. A new White House statement on Sunday explicitly denounced the Ku Klux Klan and neo-Nazi groups, but it was attributed to an unnamed spokesperson and not the president himself. White nationalists had assembled in Charlottesville to vent their frustration against the city’s plans to take down a statue of Confederal Gen. Robert E. Lee. Counter-protesters massed in opposition. The White House did not attach a name to the statement. Usually, a statement would be signed by the press secretary or another staffer; not putting a name to one eliminates an individual’s responsibility for its truthfulness and often undercuts its significance. Trump’s initial comments drew praise from the neo-Nazi website Daily Stormer, which wrote: “Trump comments were good. He didn’t attack us. He just said the nation should come together. Nothing specific against us. … No condemnation at all.” The website had been promoting the Charlottesville demonstration as part of its “Summer of Hate” edition. New details on North Korea’s plan to attack Guam. Tens of thousands of North Koreans gathered in a Pyongyang square Wednesday to cheer on their country’s dictator, hailing Kim Jong Un’s fiery rhetoric and saluting the tinpot tyrant’s nuclear lust – even as it inches the impoverished nation toward an apocalyptic confrontation with the United States. A mammoth army of the country’s workers, dressed alike in white button-down shirts, and with many sporting matching red ties, raised banners lauding the North Korean military and raised their right fists in the air in a public gesture of solidarity with Kim Jong Un. The images of a united North Korea come with a caveat, however; the participants in the rally likely had little choice but to attend and cheer enthusiastically, as freedom of expression is a punishable offense in the autocratic regime. Images of the rally were released by North Korea’s state media organ, KCNA, the outlet which has also carried the country’s uniquely-worded statements dismissing Trump as “bereft of reason” and warning “only absolute force can work on him.” Pictures of the rally could not be immediately independently verified. One of the large propaganda signs carried by protesters stretched nearly 20 people across and showed a trio of fierce North Korean military members, holding grenades and rifles, and seemingly ready for battle. Other attendees, dressed in black, belonged to the country’s elite class, The Independent reported. They applauded the animated displays of the white shirt-wearing workers. Glen Campbell dies after battle with Alzheimer’s. Country music icon Glen Campbell has died at the age of 81, Fox News has learned. The star’s publicist confirmed that he died Tuesday morning in Nashville. The legend behind hits including “Wichita Lineman” and “By the Time I Get to Phoenix” recently released his final studio album. He was diagnosed with Alzheimer’s disease six years ago. His performance of the title song from “True Grit,” a 1969 release in which he played a Texas Ranger alongside Oscar winner John Wayne, received an Academy Award nomination. He twice won album of the year awards from the Academy of Country Music and was voted into the Country Music Hall of Fame in 2005. Seven years later, he received a Grammy for lifetime achievement. Campbell revealed he had Alzheimer’s disease in 2011, but he went on to record two albums and play more than 150 concerts. At the time, Kim Campbell said the tour was a way to help her husband combat the brain-ravaging disease and spend time with family members who made up his band and traveled with him. He also starred in a documentary about life with Alzheimer’s, “Glen Campbell: I’ll Be Me.” He won a Grammy for his song “I’m Not Gonna Miss You,” which plays at the conclusion of the documentary. The song also was nominated for a 2015 Oscar. His wife revealed in March that the singer could no longer play guitar or sing. He was married four times and had eight children. As he would confide in painful detail, Campbell suffered for his fame and made others suffer as well. He drank heavily, used drugs and indulged in a turbulent relationship with country singer Tanya Tucker in the early 1980s. The music legend is survived by his wife, Kim, their three children, Cal, Shannon and Ashley; his children from previous marriages, Debby, Kelli, Travis, Kane, and Dillon; 10 grandchildren, great and great-great-grandchildren; sisters Barbara, Sandra, and Jane; and brothers John Wallace “Shorty” and Gerald. In late 2003, he was arrested near his home in Phoenix after causing a minor traffic accident. He later pleaded guilty to “extreme” DUI and leaving the scene of an accident and served a 10-day sentence.